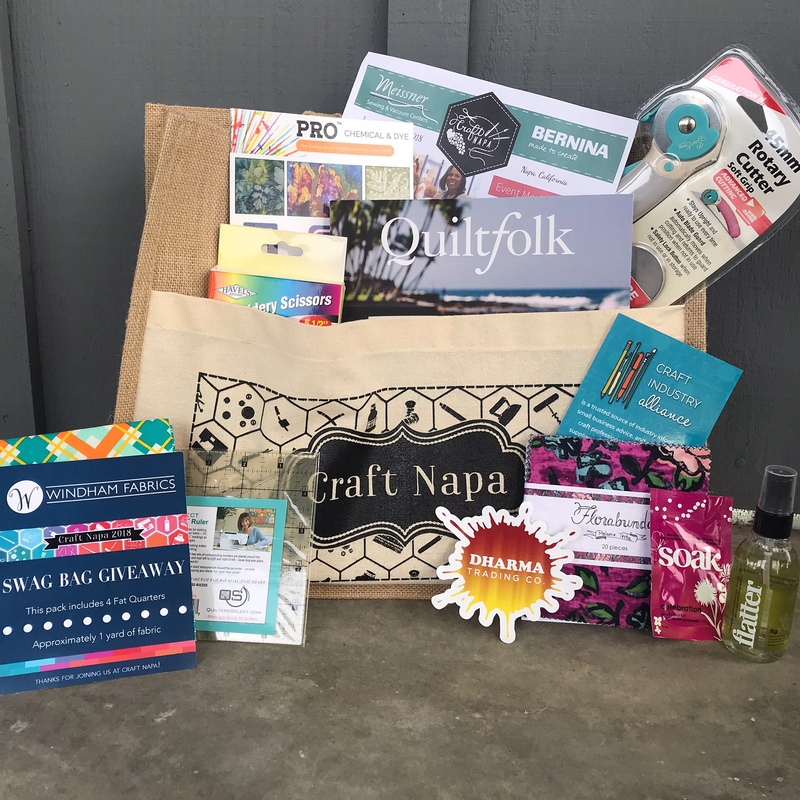 Craft Napa 2018 came and went, and frankly, it was such an amazing time–so much so–I needed a little rest afterwards, and hence the late recap. 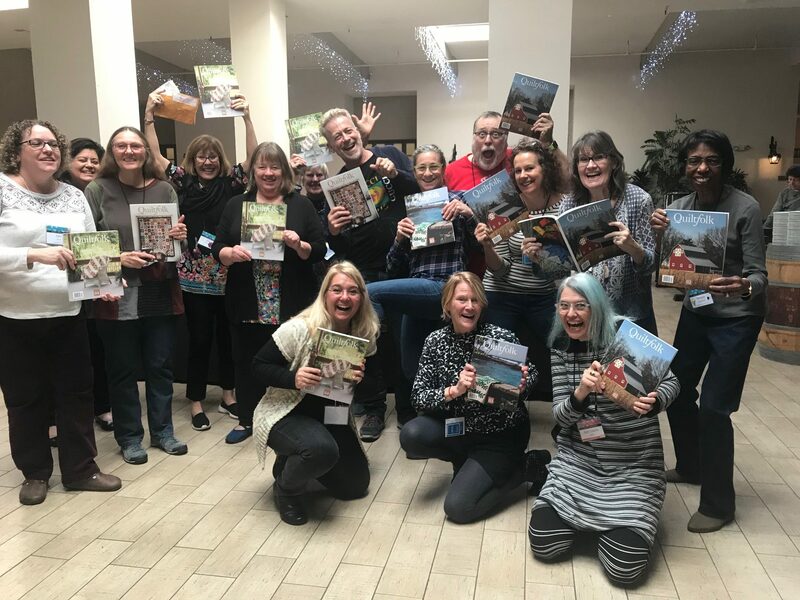 For this past third edition, we had 17 teachers, 41 workshops held over four days, with 230 students–more than double the amount the first year. Whether it was politics or natural disasters, most everyone came off a hard 2017. To be able to kickstart 2018 in such a positive, color- and stitch-filled, creative way, definitely felt incredibly gratifying. 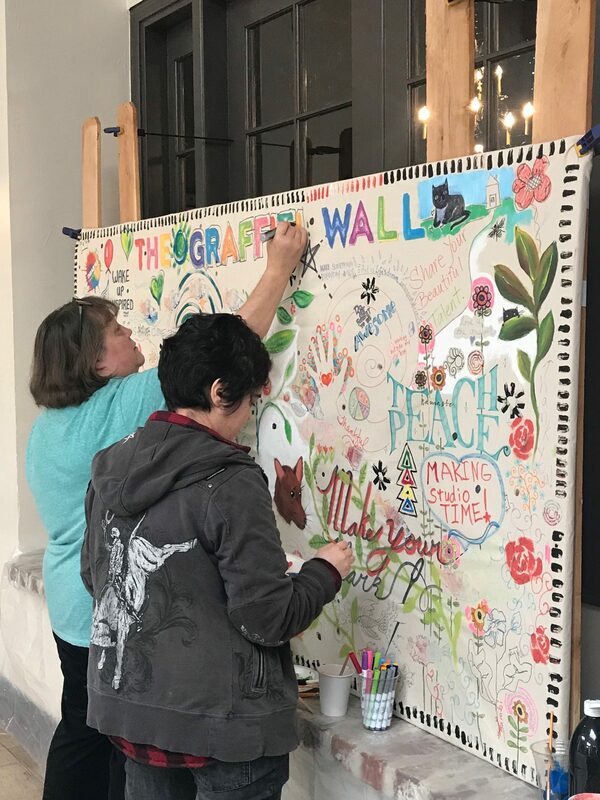 We also hosted the Stay Pawsitive art benefit for Friends for Life, Houston’s premiere no-kill animal rescue that provided safe haven, triage and vet care during Hurricane Harvey at one of the largest emergency shelters (and home to Quilt Festival)—the George R Brown Convention Center. 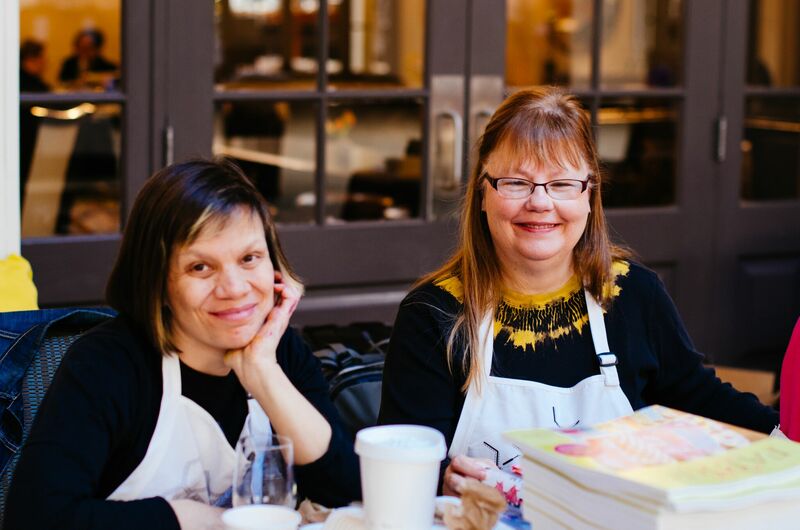 Through artwork created and purchased, we raised $4000 for them! 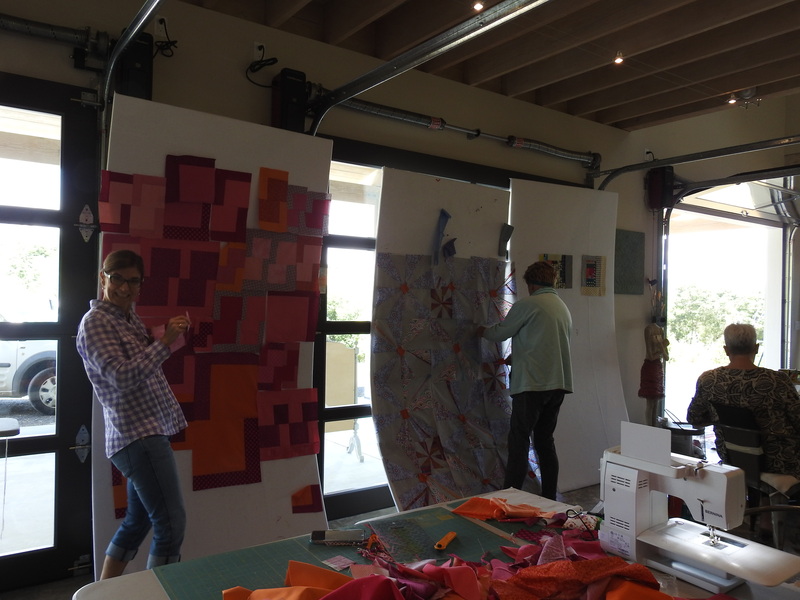 We offered 3-hour, 6-hour, 9-hour, and two-day workshops, both at the Embassy Suites and in my art barn. 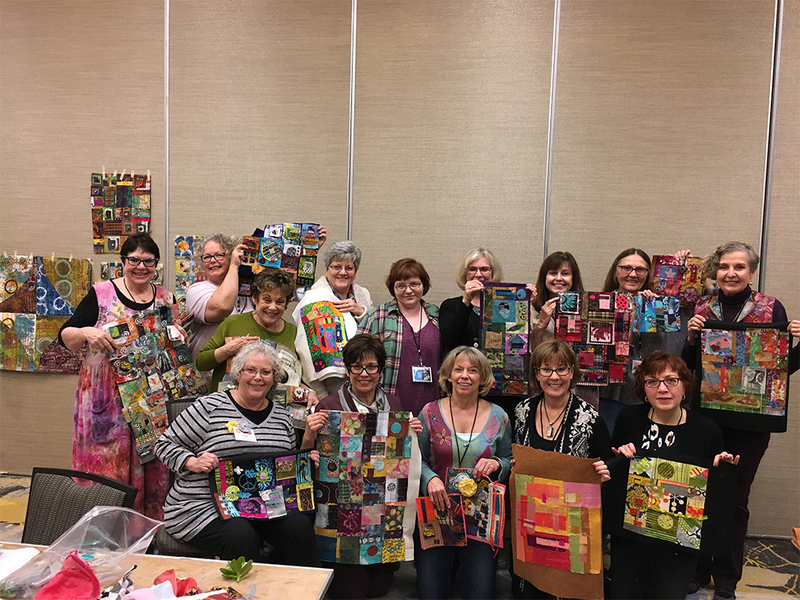 A copious amount of art was produced—from art quilts, mixed media, modern and improv quilts—to books, assemblages, dyed and painted fabrics, monoprints, and encaustic work. 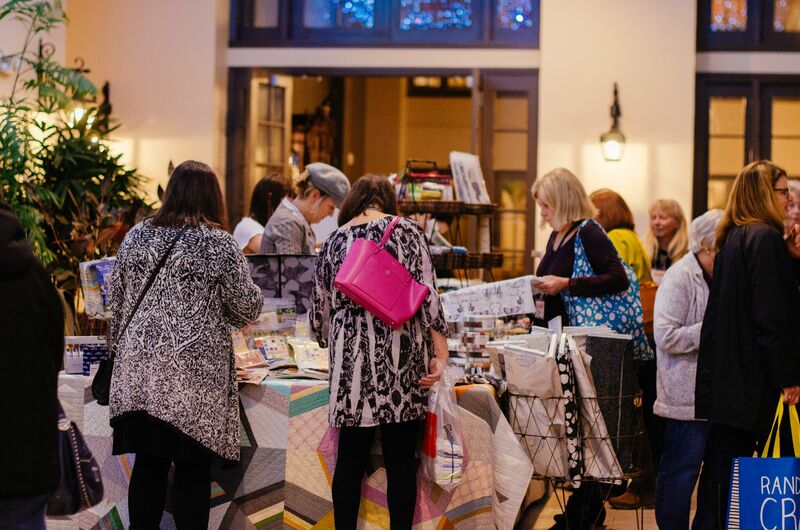 On Friday night of the event we hosted an artist market with our teachers, non-profit organizations, local shops, and an extra bonus: a quilt guild raffle quilt. 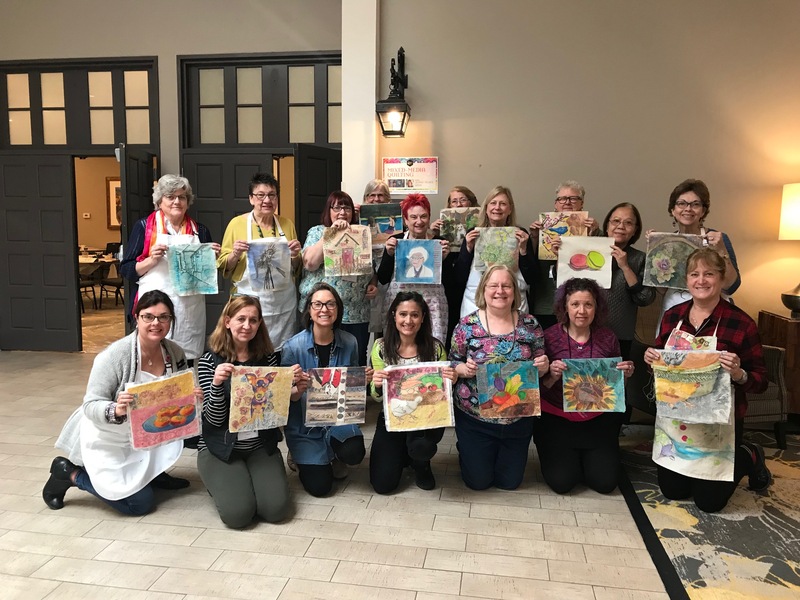 Our Artists’ View Luncheon went well, too, where teachers candidly shared ideas and inspired all to set the tone for a year filled with creating. 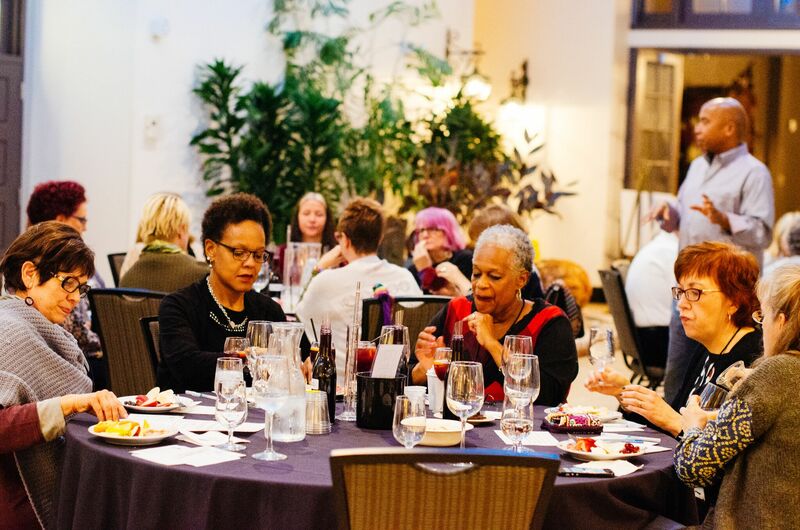 I see a lot of opportunity for growth for Craft Napa, and making this event even more meaningful, and so that is what I am working on right now for both next year and beyond for (gulp!) the 5th anniversary edition. Lastly, thanks to all who made the trek to join us! 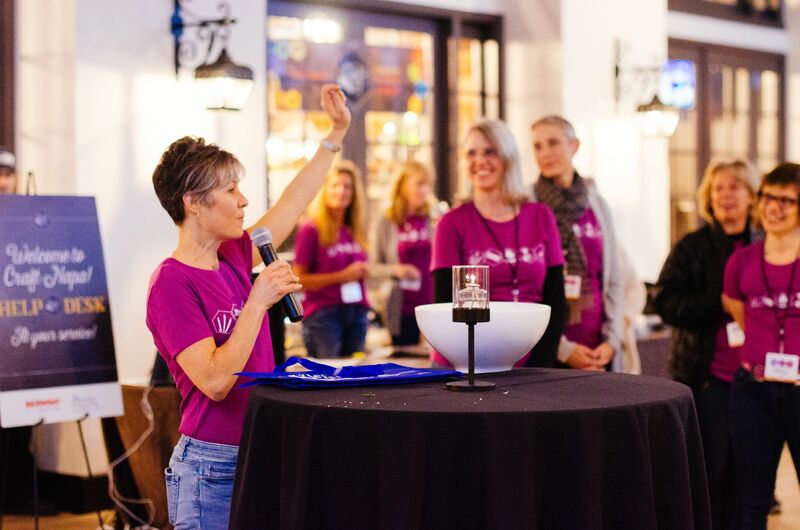 It’s you who make this community come alive and make this event so special! 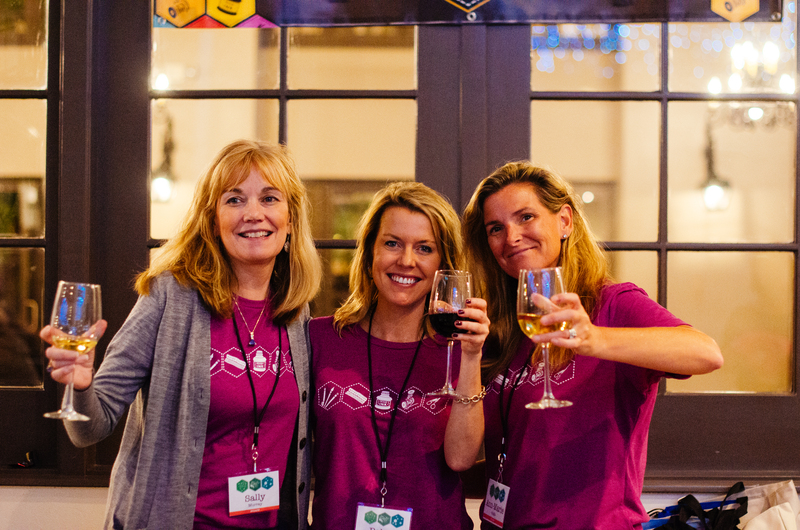 Next year’s dates for Craft Napa are January 9-13, 2019, and if you want to join us for our five-year anniversary, the dates for 2020 will be January 8-12, 2020. The last eight days have felt like one, long extended night. 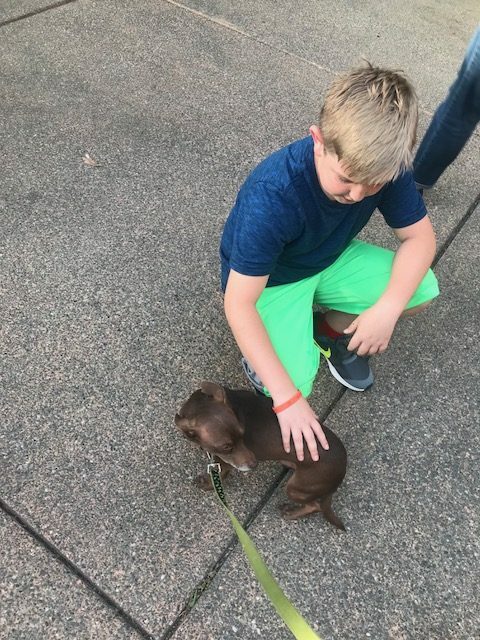 It is hard to believe that more than a week ago, I was awakened by my dog Nellie a little after midnight, followed quickly by a text from my friend Patricia Trimble, and then a Nixle alert on my cell phone saying evacuate immediately. I did not have long and quickly grabbed my animals and threw some things in a bag and fled. I thought everything was ok by then. But it was not. 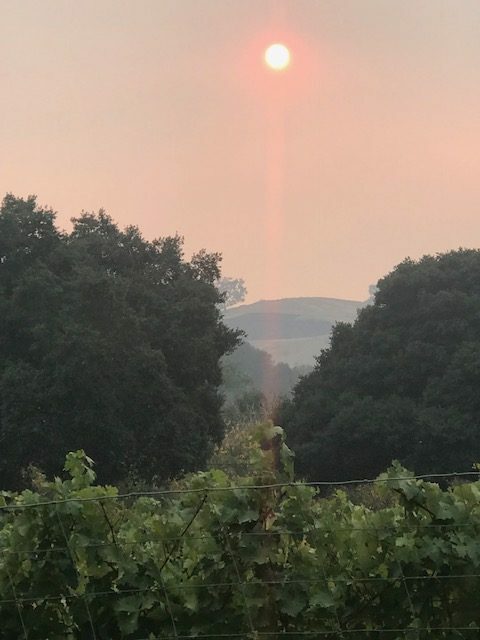 It had also been two days and I still had no cell service–no one did in Napa. We were all trying to get reliable information, which proved difficult. 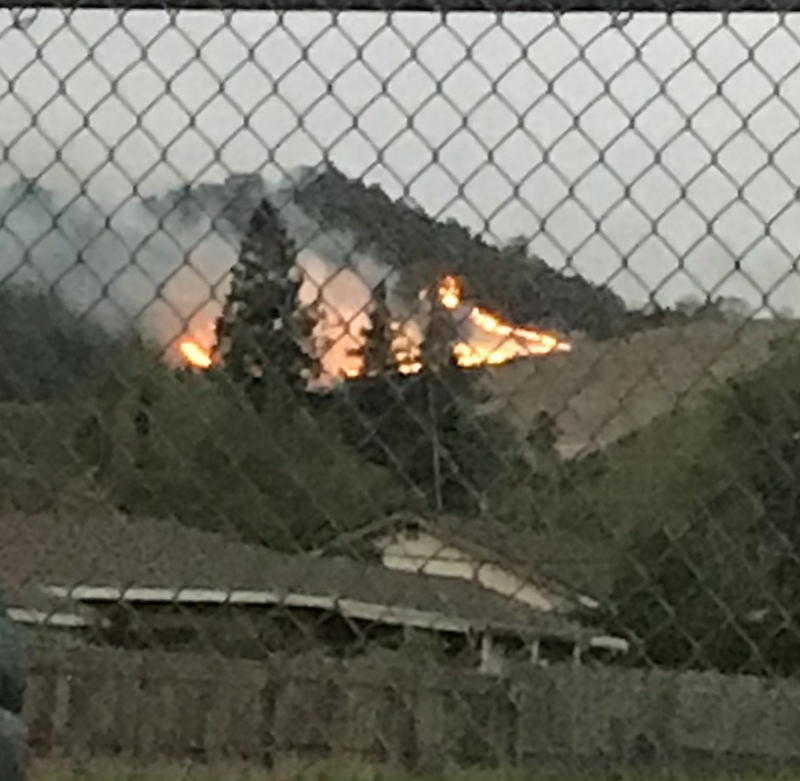 There is a clear and visible burn behind my hill to the left. On Friday I was able to go back again for a few minutes and see all still standing, but still a little bleak. Finally, I was able to go home on Saturday. And while wearing my N95 mask, start cleaning. It was therapy to clean and try and gain control what has felt like a totally out-of-control situation this past week. 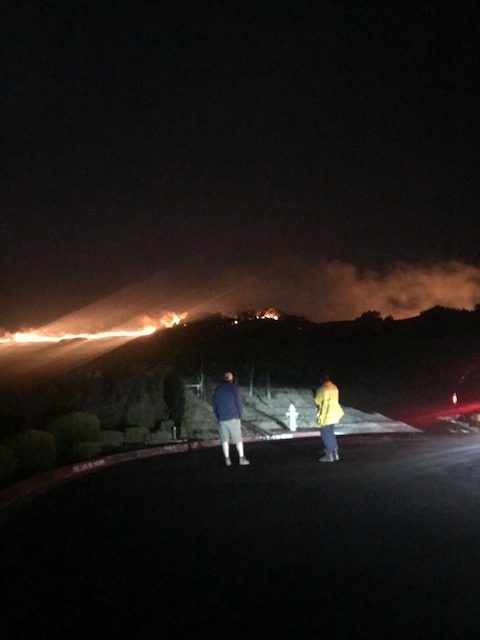 These fires were unprecedented and historic. I have changed the air filters in my house, and for the most part wearing that N95 mask as I clean, wipe down, and pitch stuff, including pillows, dog beds, etc., and all food in my refrigerator and cabinets. I also have ordered two HEPA air filters from Amazon to help get rid of all of the residual smoke inside my home. I am GRATEFUL and LUCKY, my place is still standing, and I know it. 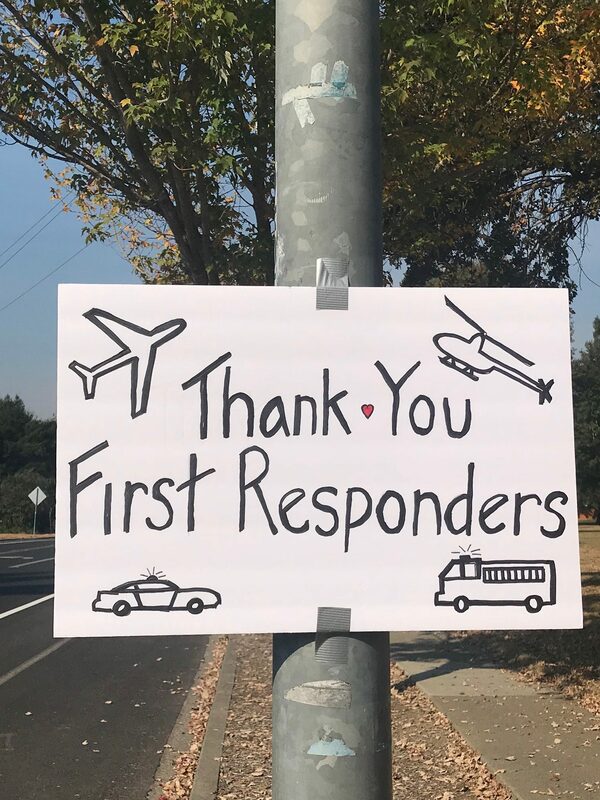 I am forever indebted to our first responders, for those firemen who kept watch on my porch that first night and next day. 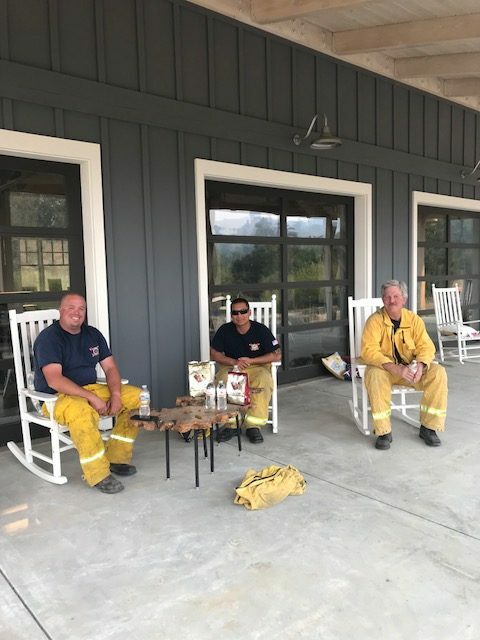 I am thankful for Eli Ponce Construction who volunteered his time and energy and for almost 24 hours straight, bulldozed around my place and my neighbors’ homes in Browns Valley to create a fire break. 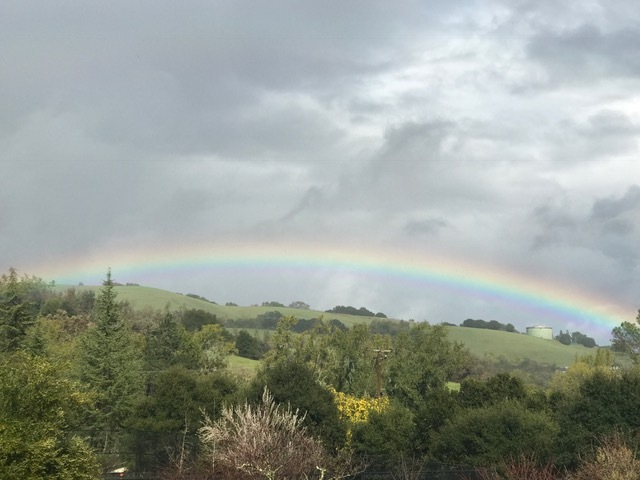 I am thankful for SO MANY family members and friends from the Bay Area who called me and reached out (multiple times), offering me a place to stay, and kept checking back in with me. 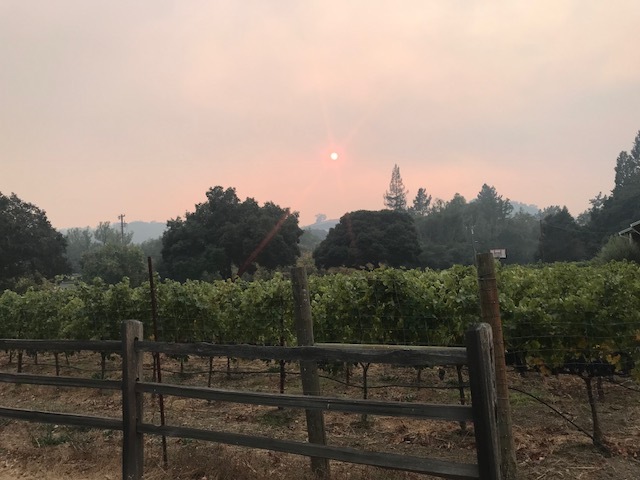 I am grateful for Napa…I have made some incredible friendships here, especially Patricia Trimble from The Roost Napa and those in my neighborhood; our bonds have only deepened. 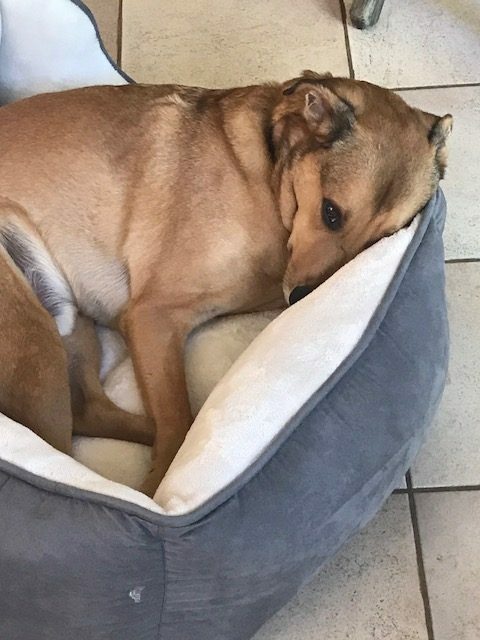 I also want to thank everyone, too, on Facebook, who gave me so many cheers and just overall words of support and comfort when I was distraught, confused, incoherent and tired. I needed it, and I hope I can return the favor to you some day. -Next Door, a neighborhood APP to keep in touch with each other. 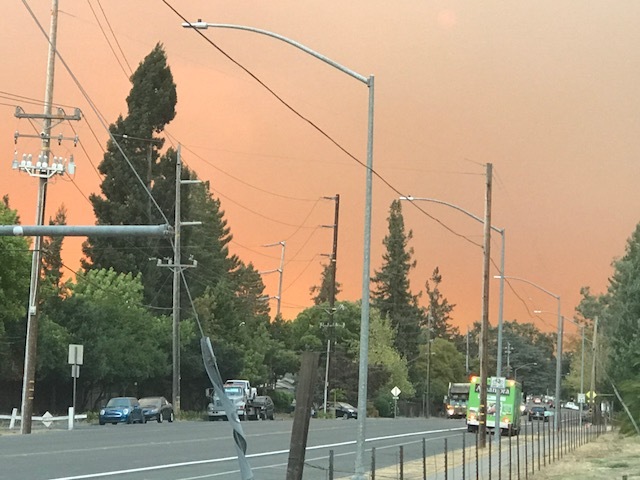 -Nixle, which coordinates county and state emergency services, letting you know timely updates of threats or concerns in your area. If on Facebook, make sure to follow both the official page of your county/city and local police. I found this invaluable, especially when I had no cell service, but was able to go to a hotspot for WiFi to learn the latest from county officials. -Get a fire proof safe/ container to put photos and important docs in. -Have water and batteries and other emergency misc ready. I thought I did, but it wasn’t organized as well as it should have been. -Have an extra bag of clothing and toiletries to grab and take. We are all looking forward to catching up on sleep, to finding our humor again. And I don’t think I am alone in saying this, but after Hurricanes Harvey, Irma, Maria, and the Vegas shooting, can we all just scream UNCLE!? 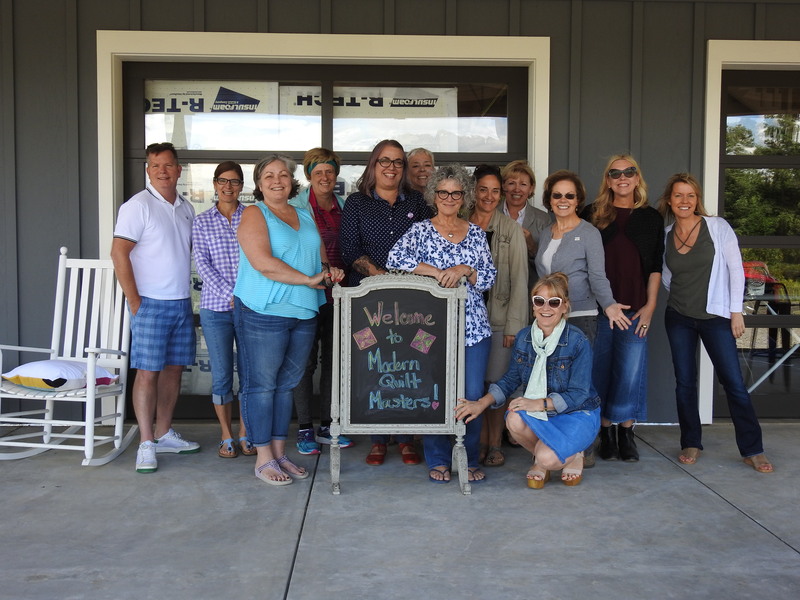 Last year The Modern Quilt Guild approached me and asked me what I thought about partnering and launching the first Modern Quilt Masters retreat at my place in Napa. We had plenty of critique time with Denyse who was so giving of herself. 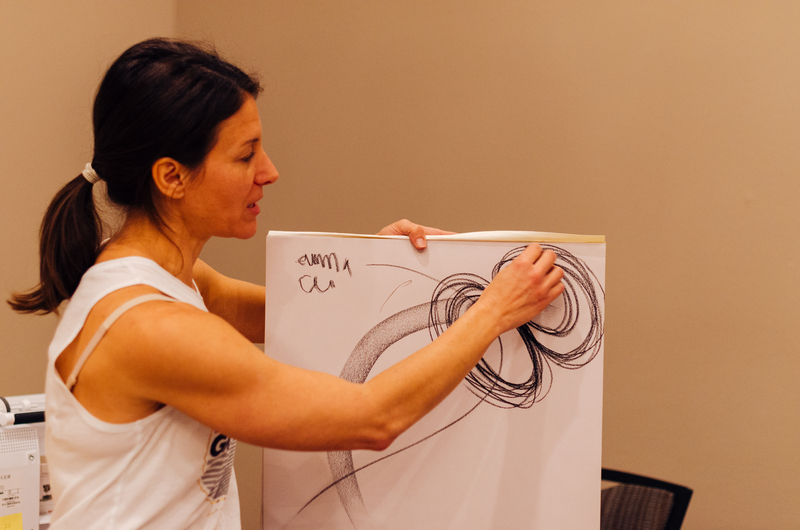 And a special guest showed up…Jennifer Sampou. 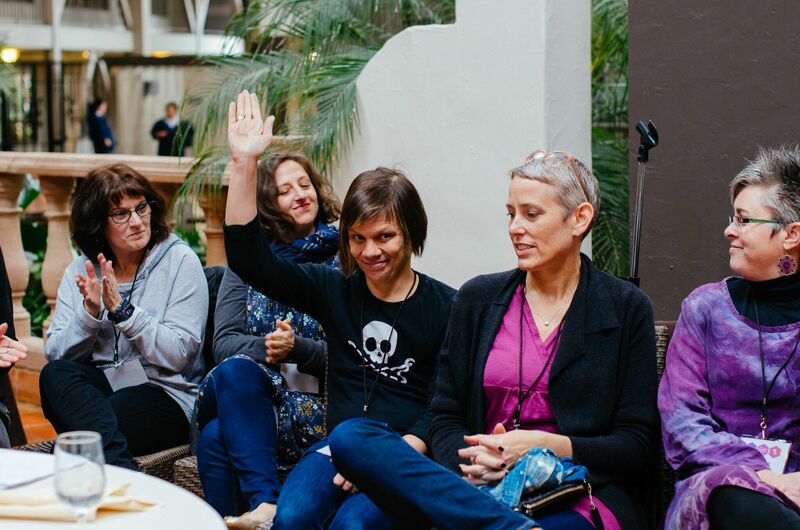 I am so grateful to have hosted this retreat. I did not get very far in my top, but I will. Craft Napa 2018 registration launches in a few days and I have been a bit busy getting it ready. 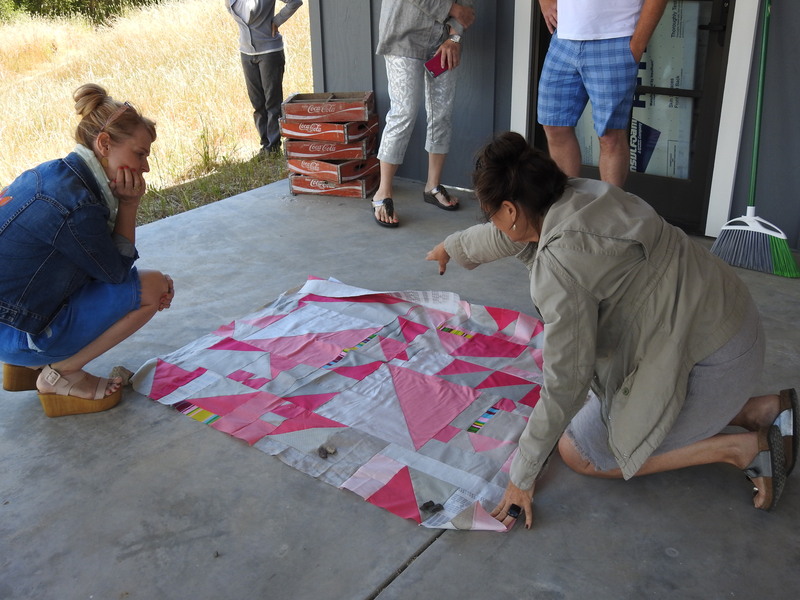 This next Craft Napa event has grown a lot…17 teachers with …drumroll…41 workshops over the four days! 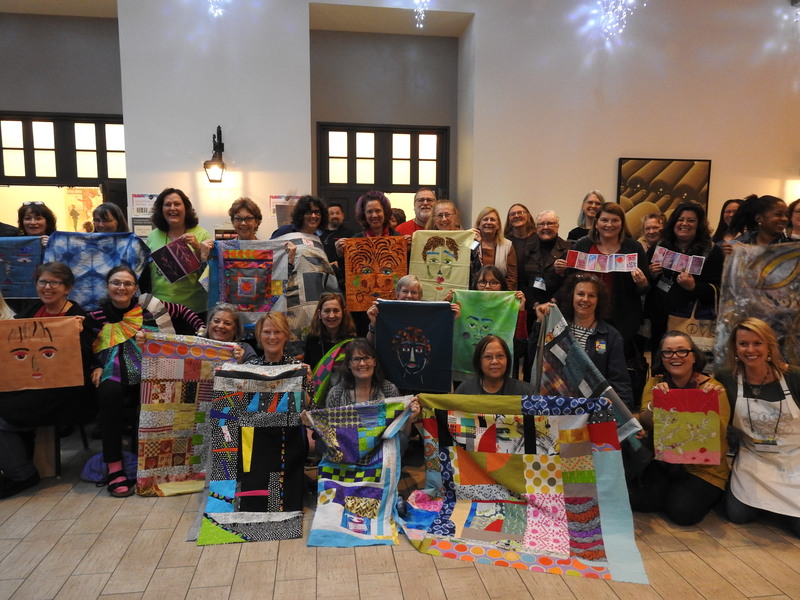 I want to thank the Modern Quilt Guild, Meissner’s, BERNINA USA, and Denyse Schmidt for such generosity and collaboration this past week. I agree. Green has always been my very favorite color that I have found both calming yet invigorating. 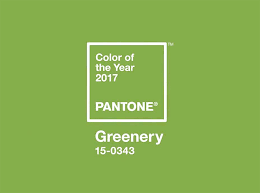 And in dealing with the stress of today’s heated political climate, I find myself more than ever going to my studio at night and immersing myself in this leafy color that celebrates the promises of flourishing, hope, and growth. 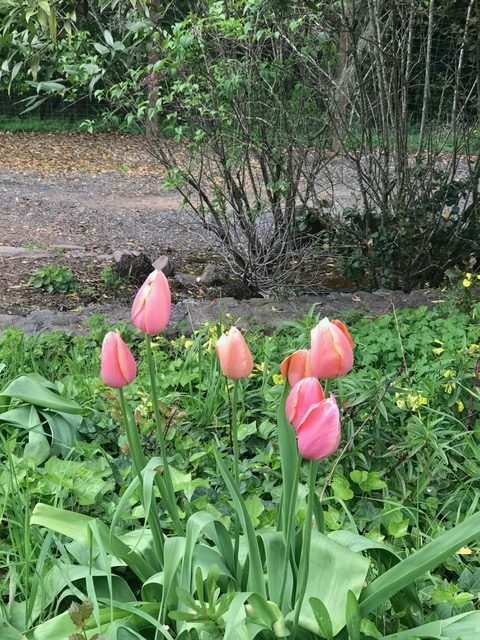 Thanks to one of the most precipitous winters ever on record in California, we are reaping the rewards of green in Napa. 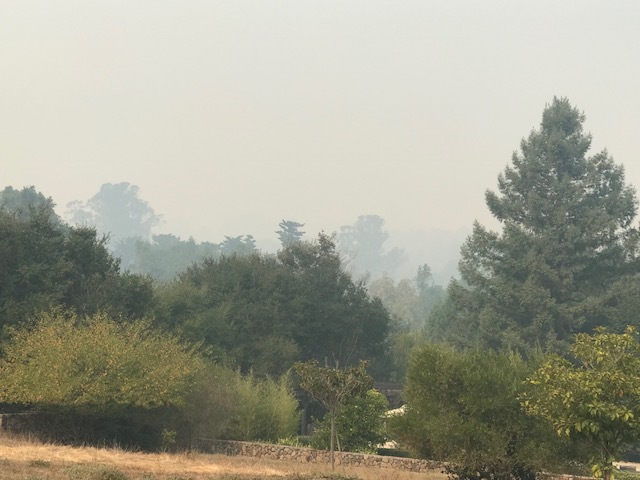 Below is a view from the top of my street in Napa. 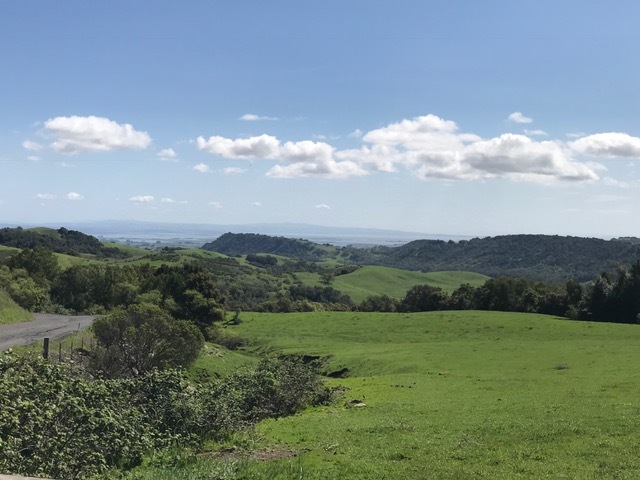 In the distance you can see where the San Pablo Bay (which is a part of the San Francisco Bay) meets the shoreline at its most northern tip. 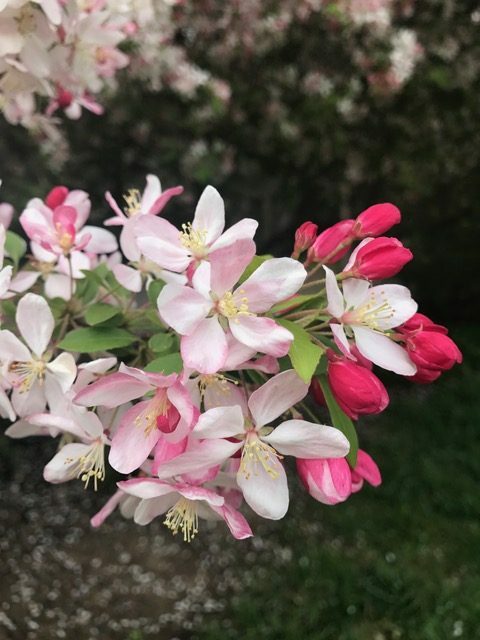 Here is to warm, springtime, verdant days ahead for all. When I moved here, I had a prized olive tree in my garden. 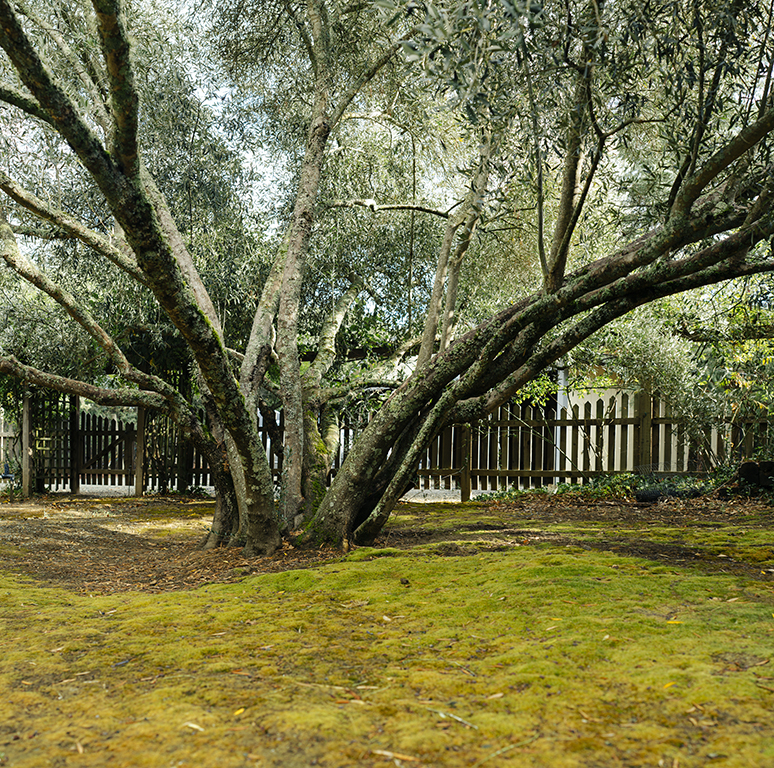 But last week…my olive tree couldn’t take the constant winds and pressure from the rains and it split, limb by limb. Notice where my power line is (a bit anxiety-provoking). 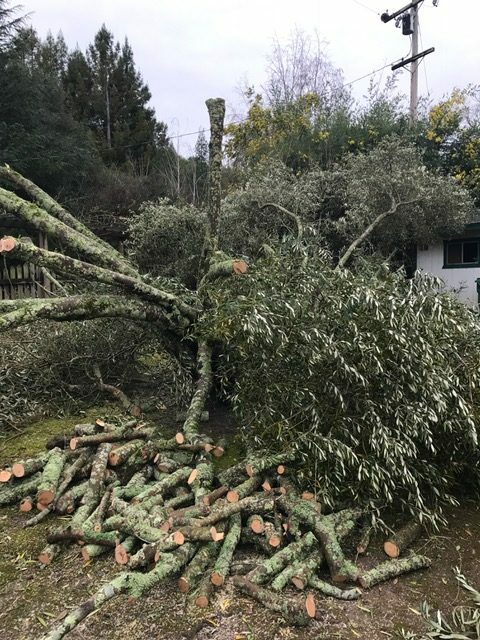 But fortunately through the app Next Door, I found someone who is a woodworker in my neighborhood, and with the help of a friend with a chainsaw, they cut most of it up. Now my neighbor has a lot of wood to make furniture, and I have wood for my pizza oven and leaves for monoprinting. 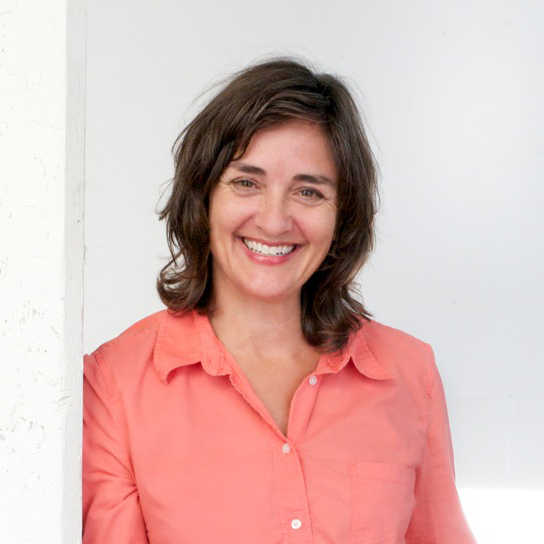 And speaking of bright and sunny days, this special individual (below) is coming to lead a very small, intensive, 4-day retreat in June! 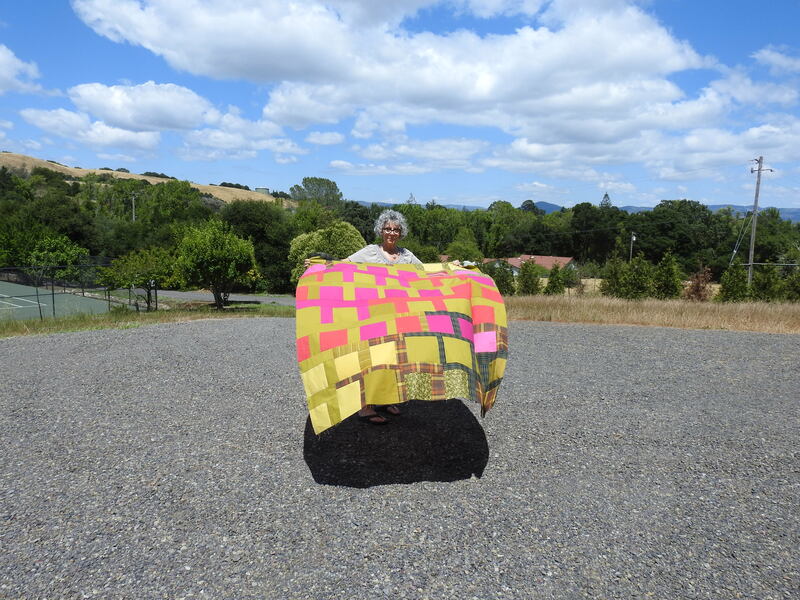 I am very honored to be working with the Modern Quilt Guild to bring Denyse Schmidt to Napa for improvisational quilting. 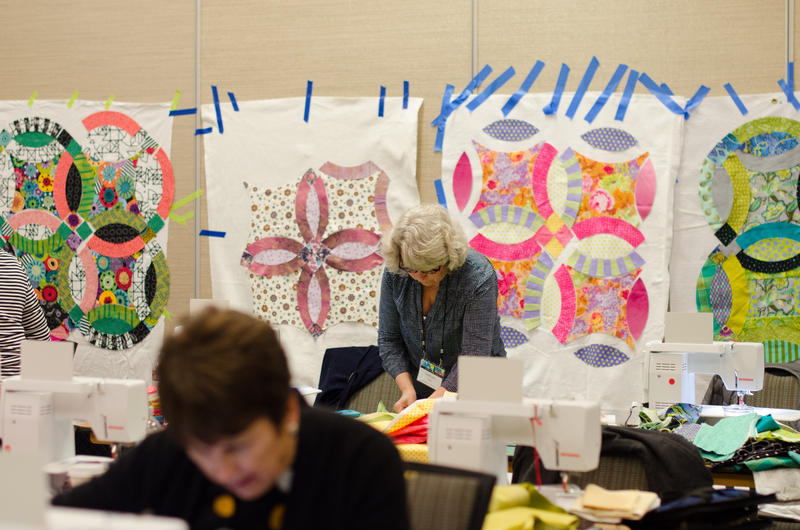 All of the information and retreat particulars can be found on the Modern Quilt Masters website. I have finally recovered! Our second edition of CRAFT NAPA went so well, and it was a welcomed bit of respite from the outside world for a few days. 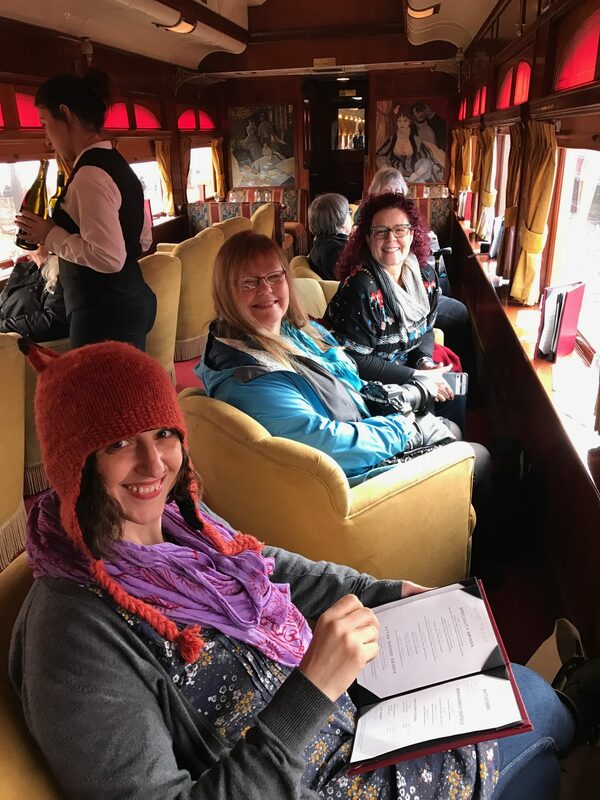 Some fun facts: We had nearly 200 students (up from 113 last year), 12 teachers for 33 workshops, an Artists’ Market, Wine Blending Competition, and a three-hour tour on the Wine Train to close the four-day event. 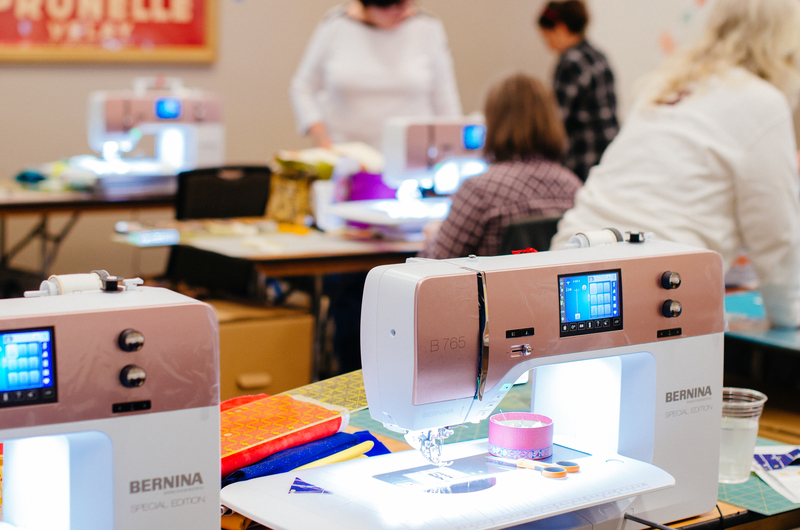 So grateful to BERNINA of America and Meissner’s Sewing for providing BERNINAs for 3 full classrooms and sewing stations in others. 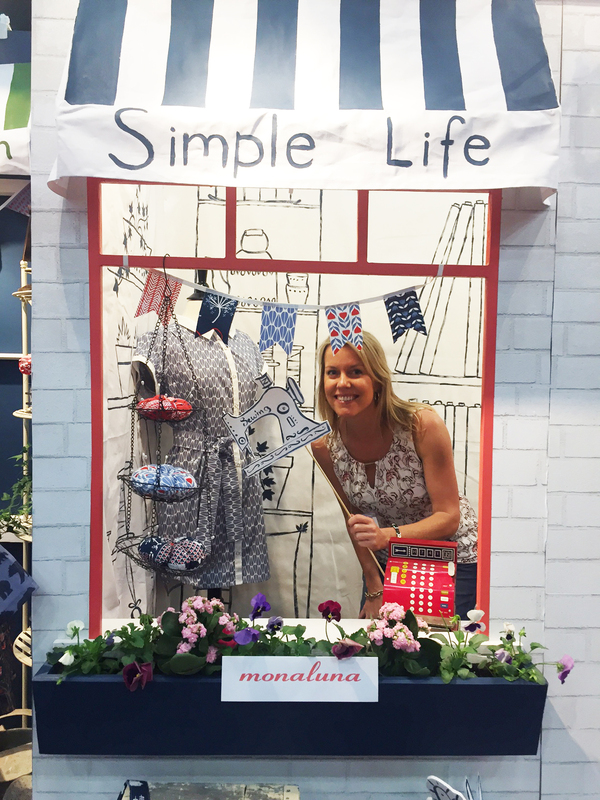 Below is Jennifer Gigas, tireless as always, on the opening night of the event, offering up a free BERNINA sewing machine. 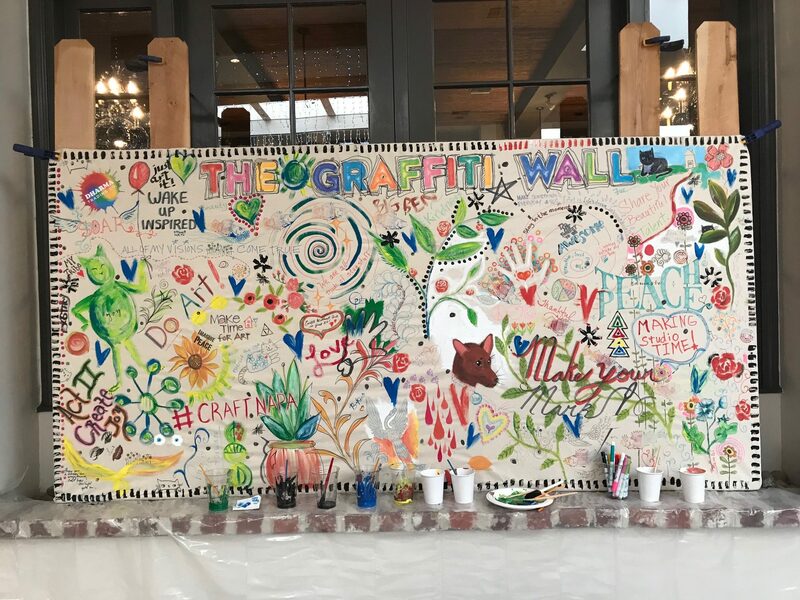 There was a lot of opining at the Artists’ View Luncheon where our teachers fielded honest and candid questions from students about manufacturers, supplies, inspiration, best practices, and copyright issues. 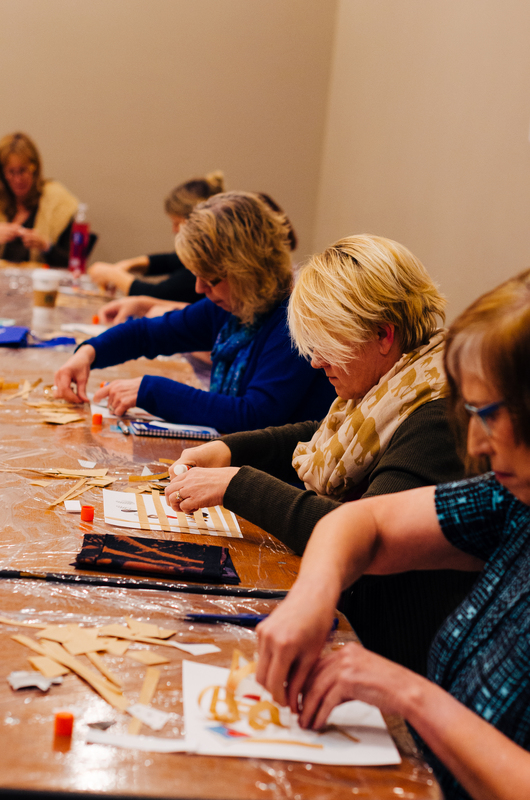 I took so many things away from this luncheon, but here is a fun fact, explained by Victoria Findlay Wolfe: If you have Accuquilt dies, they will work on your Sizzix machines. 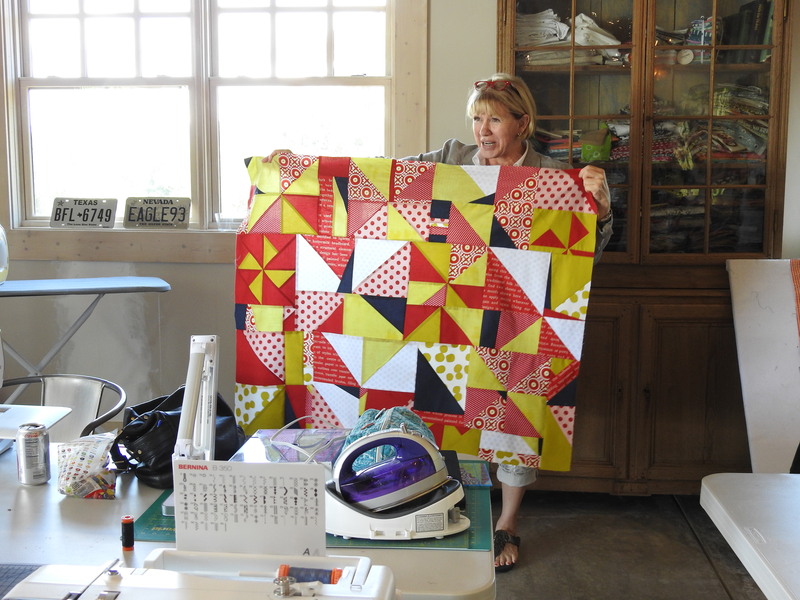 Sizzix dyes will not work on your Accuquilt machines, so if you have both, the take-away is Sizzix can handle both! 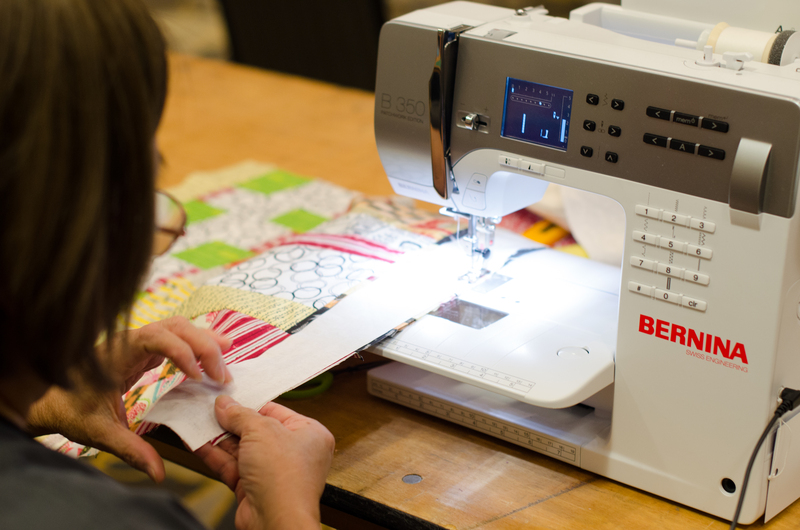 THANK YOU BERNINA of America and Meissner’s…these machines for free-motion quilting and piecing worked like a dream. 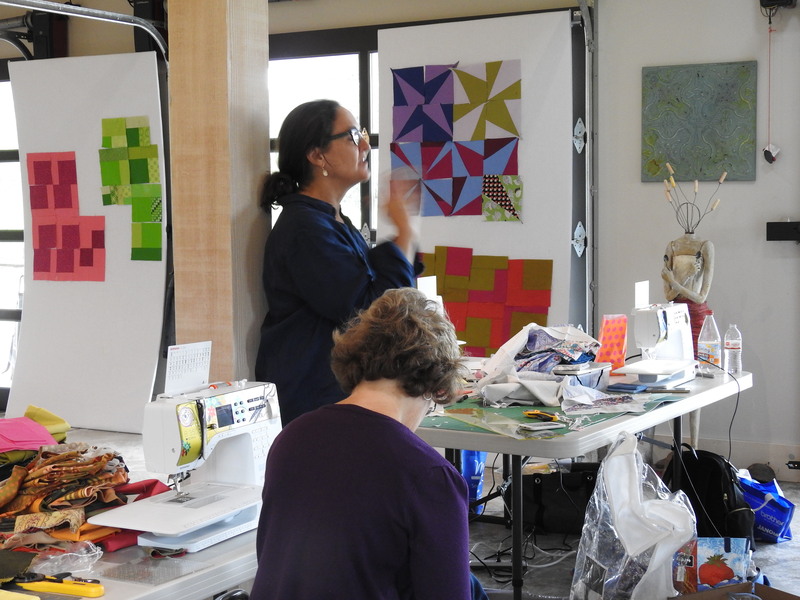 Leslie Jenison explaining how to use vintage blocks to turn into a modern quilt. 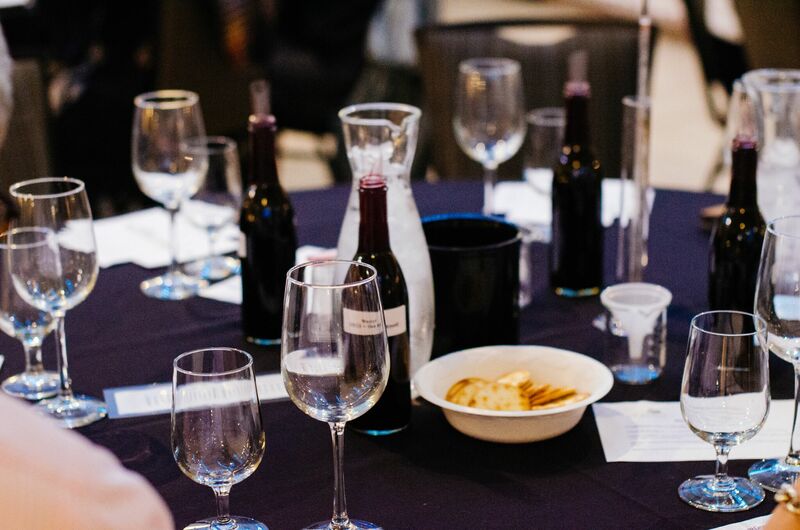 We blended wine led by a vintner who gave each team some measuring cups, beakers, bottles of Merlot, Malbec, Cab Franc, and Cab Sauvignon to create a winning blend (chosen by blind judging). We studied shapes and movement in art (and admired Carrie Bloomston’s arm muscles). 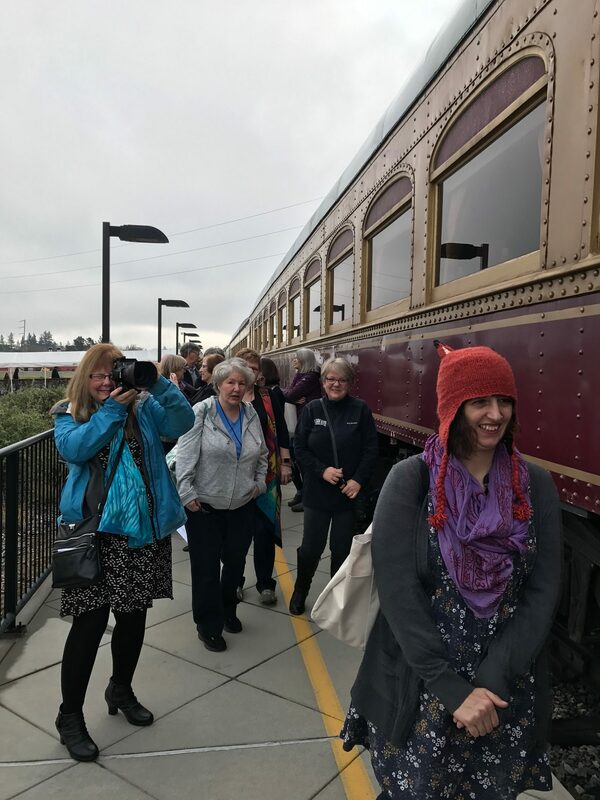 40 of us closed the event with a wine train excursion, a three-hour tour up Napa Valley and back on a vintage Pullman train. This was an incredibly fun time together. 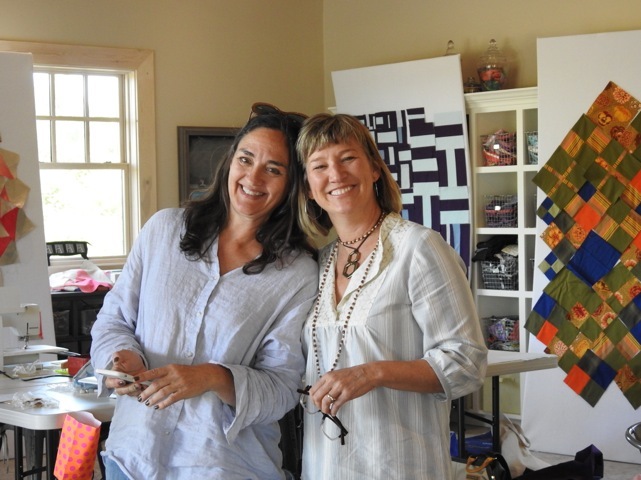 But for me, one of the shining moments was hosting Open Studios with Melanie Testa and Carol Soderlund, the two authors for PLAYFUL FABRIC PRINTING. 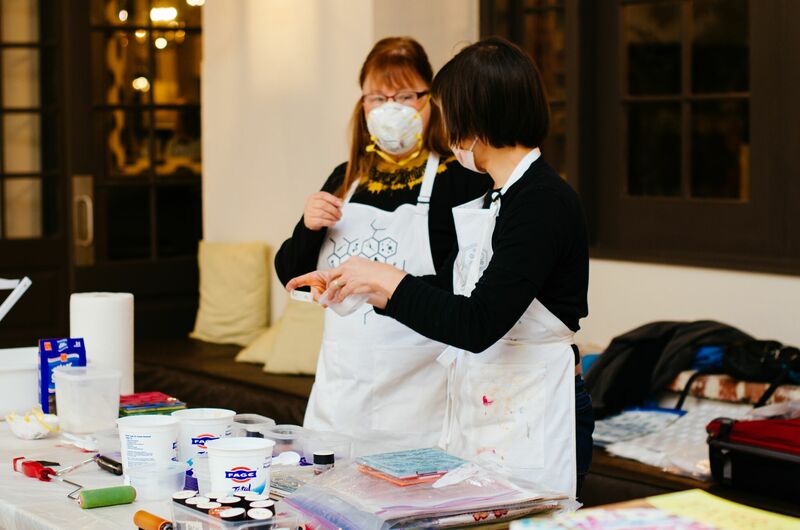 On Saturday these two artists turned the central area at the Embassy Suites into a dye studio and signed books for the masses. Totally normal to sign books while donning dust masks and mixing dyes, right? 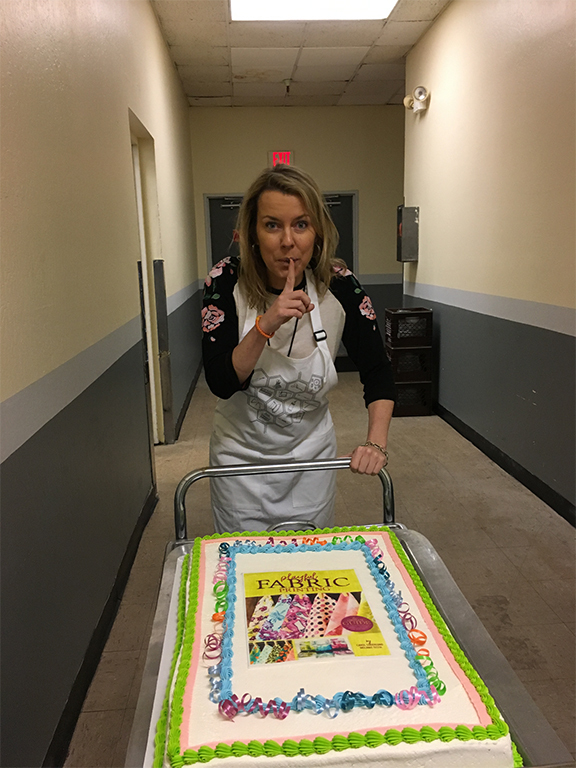 What made me cry was the ENTIRE cake was eaten, and it hurt me immensely to cut up the cover. 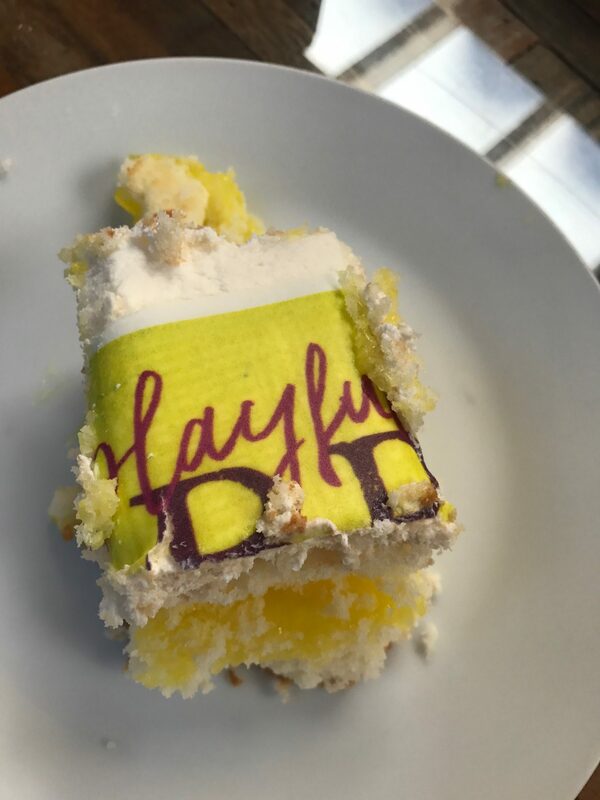 But the cake was dee-lish (yellow cake with vanilla icing and a lemon filling). All in all, it was a such a fun time together. 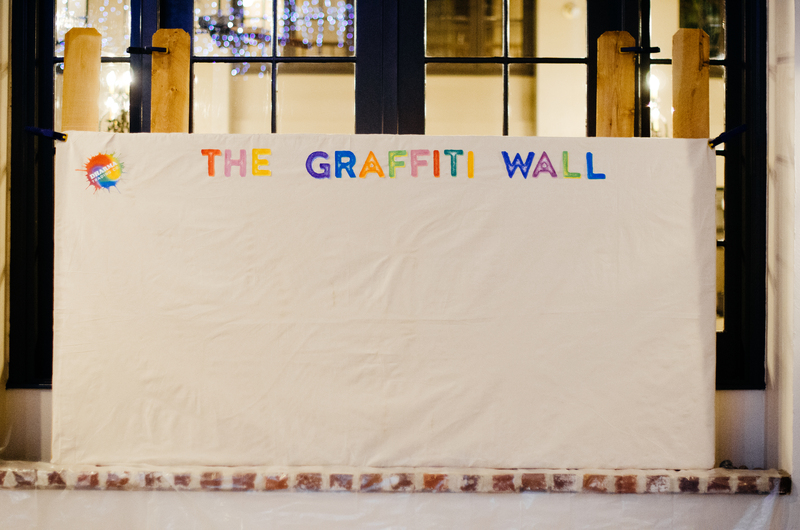 Craft Napa was about making art and embracing our community. Next year’s dates are January 10-14, 2018, and I have plans to change things up. Please save the dates. Until then, thank you, and CHEERS! Welcome to my new digs. A new domain, that is! 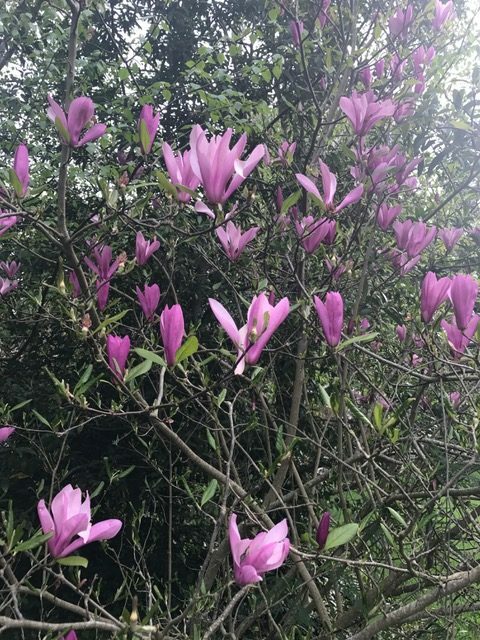 As this website migration took place and I was blog-silent for a while, I have received a lot of emails, some several times over, so I thought while I initially settle in, I would host a quick Q & A. 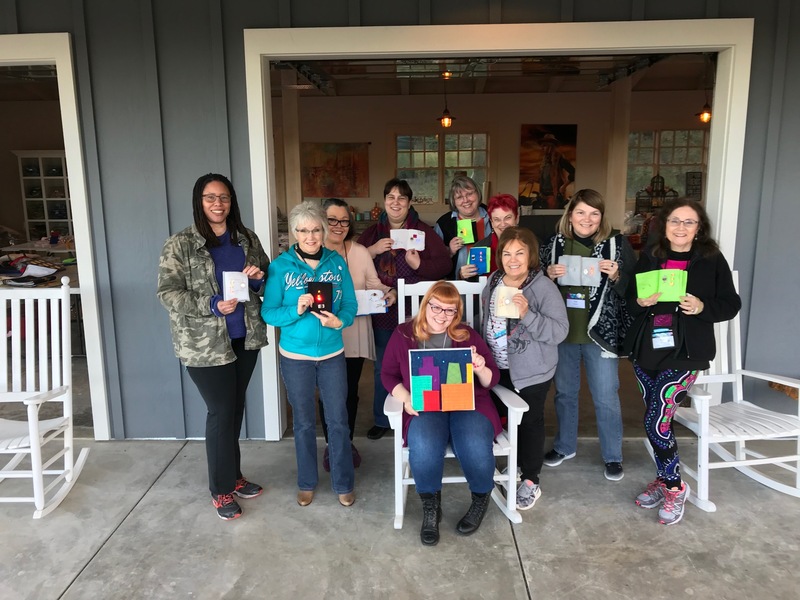 When are you having retreats in your art barn? After Craft Napa, there will be some smaller retreats that I will be announcing shortly. 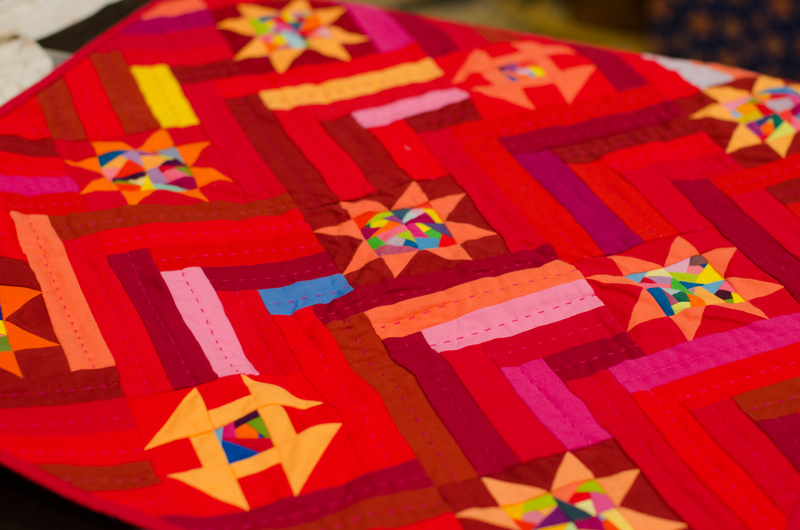 I am thrilled with the talent that is scheduled to come, and I am collaborating with some fantastic, forward-thinking people in the quilting, art, and textile industries to bring them here. I should note, that these retreats will be small so they can be immersive, and we can enjoy the valley. 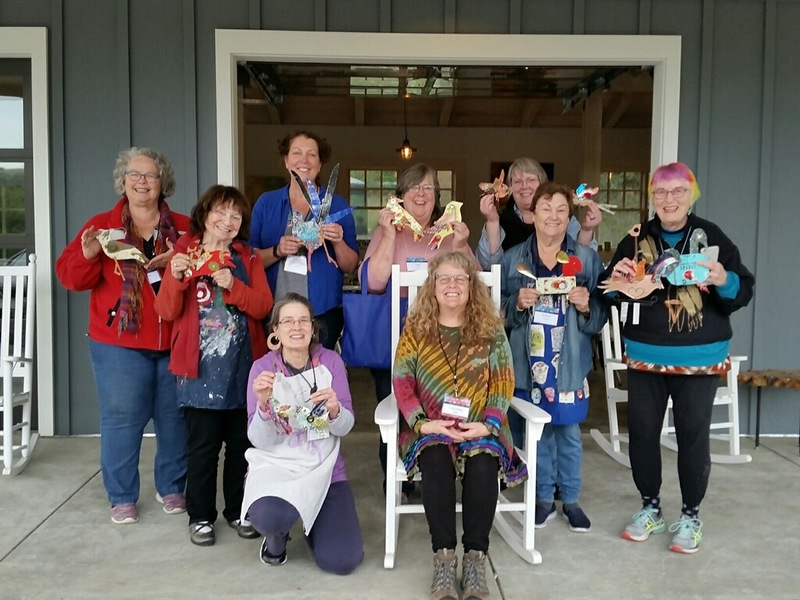 Do you rent out your art barn? No, I do not. This is my own working studio and space, too, so the retreats are very controlled, small, and sparsely scheduled. How do I submit a proposal if I’d like to teach? If you would like to pitch an idea, email me! This is an informal process to see what might work for both of us. 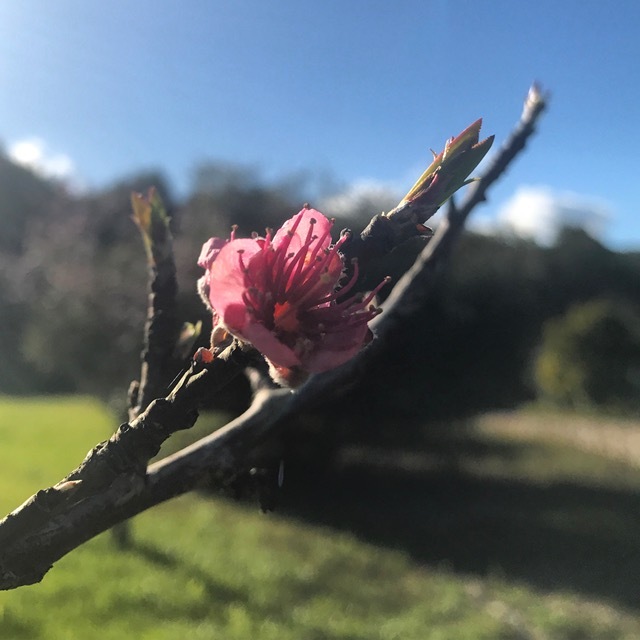 There is a more formal proposal process for Craft Napa; the next round of proposals will go out February 2017 and be available on my business site: craftingalifellc.com. So…did you vote for Clinton or did you vote for Trump? OK, no one actually asked me that question but I want to clarify the direction of this blog. The only politics you will find here are about our industry (and there is plenty of controversy and points of discussion in our industry right now). 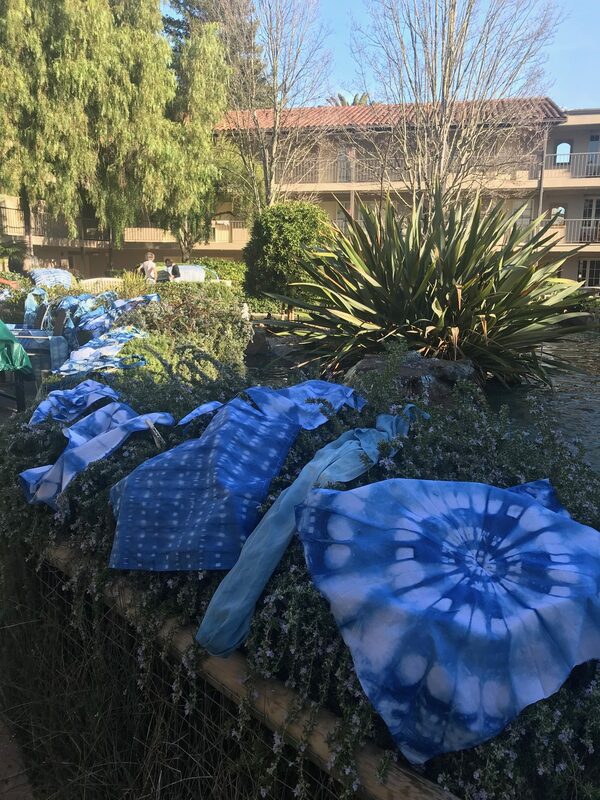 The focus of this blog is fourfold: 1) about art, mostly textiles, 2) my thoughts about our industry, 3) enterprising ventures, 4) and techniques and projects I am working on. 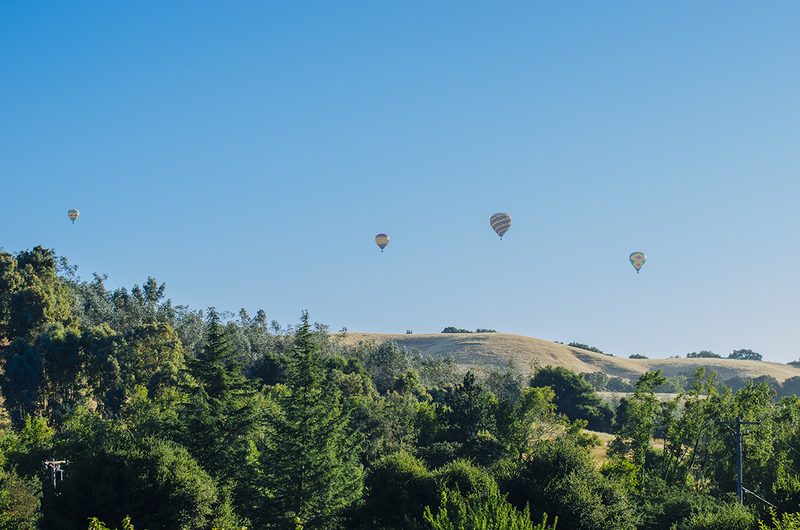 You moved to Napa…are you going to grow any grapes? Nope. Living in the Mt. Veeder part of Napa (which is closest to Sonoma too), I am surrounded by expert vintners who know what they are doing. 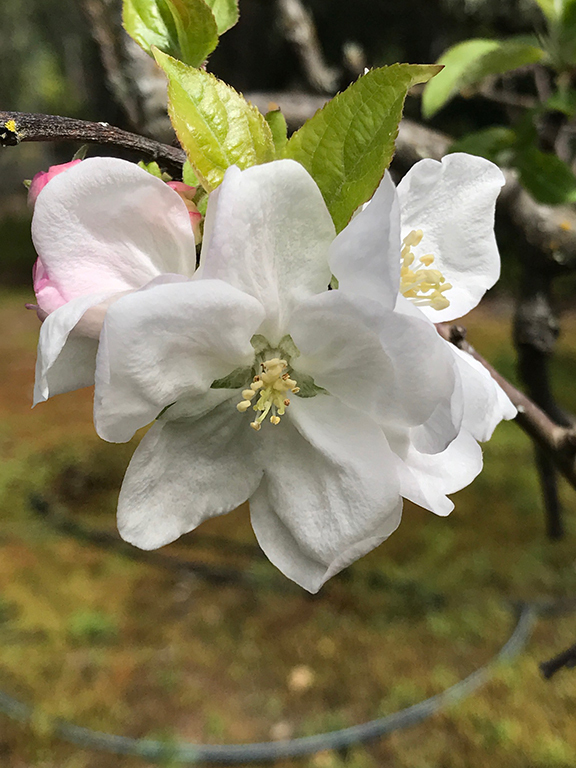 I do, however, have a lot of mature fruit trees here: lemon, orange, apple, walnut, olive, fig, pear, plum, and persimmon (blackberry bushes too). 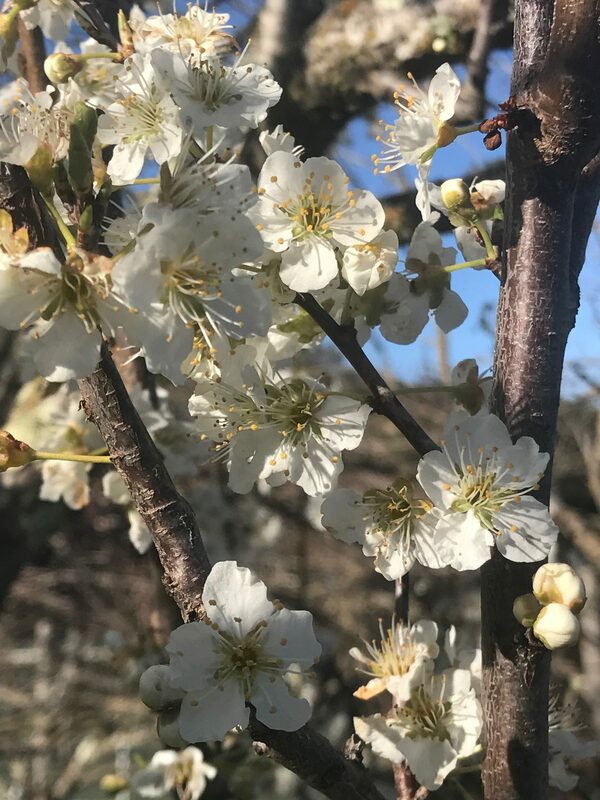 I am hoping that we have another wonderfully wet winter so they get nice and plump, not just for eating but for fabric printing and eco-dyeing! 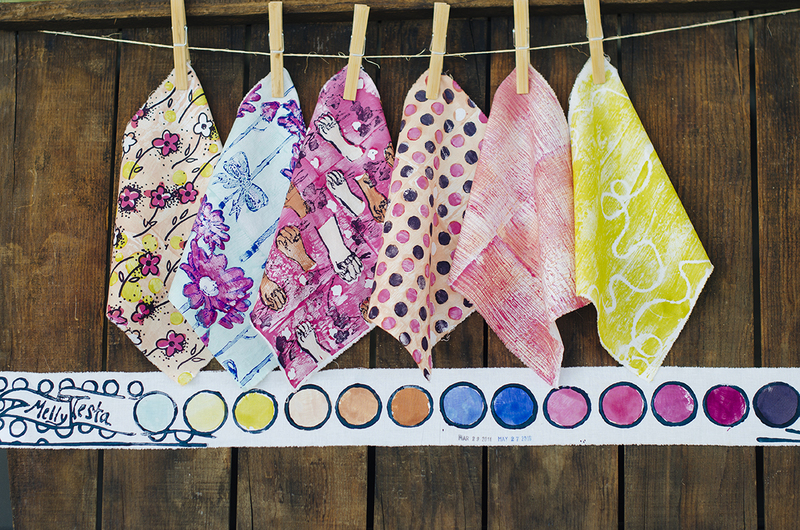 The first book that we are publishing, Playful Fabric Printing with Carol Soderlund and Melanie Testa will make its debut in January 2017. This book is 144 pages chock-full of inspiration and everything you need to know to dye fabric, print, and create your own fabric collection. This book is just about ready for press, minus the cover. (We had about 20 options for covers and we have winnowed it down to three.) I’d love your opinion on the cover, so that post will be forthcoming this Friday, which is Black Friday, and while most business will be selling, selling, selling, I will be giving away 5 copies (when it’s printed) that are randomly selected from the comments section when you make your cover choice. In the meantime, I am so happy to have you here, and on this Thanksgiving week, I thank you sincerely for visiting me. View one morning this past August from my art barn porch. 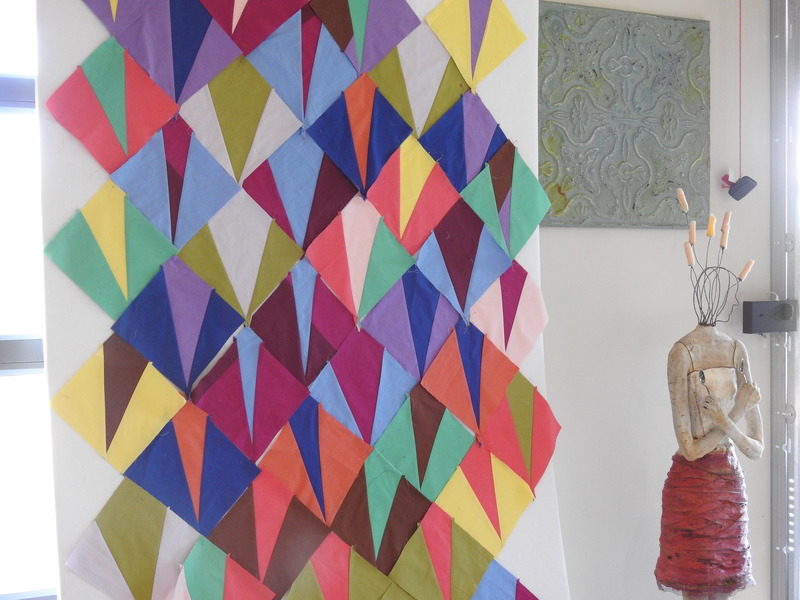 My Art Barn Reveal-Come on in! 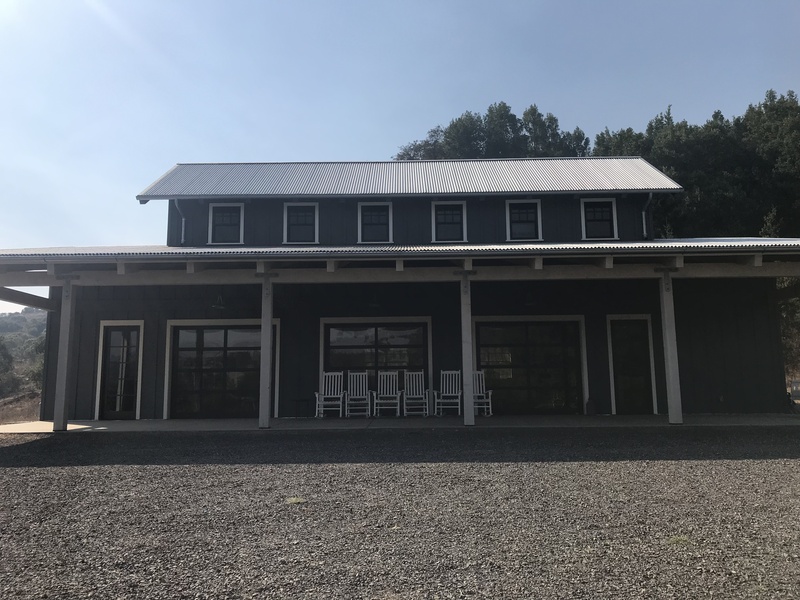 At long last we had a photo shoot this past weekend to showcase the interior of the art barn, and I am really thrilled to share with you detailed shots of this building that took just about two years to see to fruition. The front of the barn has three glass garage doors (they are all open in the above shot). 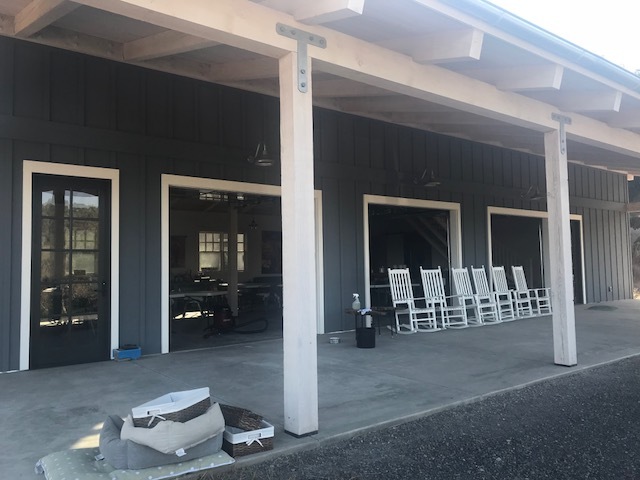 I wanted glass garage doors so 1) the view can be enjoyed while working inside, 2) lots of natural light can come in, and 3) the porch can essentially be an extension of the work area. What is lovely about the Bay Area/Napa, is the climate is very mild here (I don’t even own an a/c unit in my house or in the barn). So more often than not, I have those glass garage doors open. Panoramic view of the barn from the bar area. 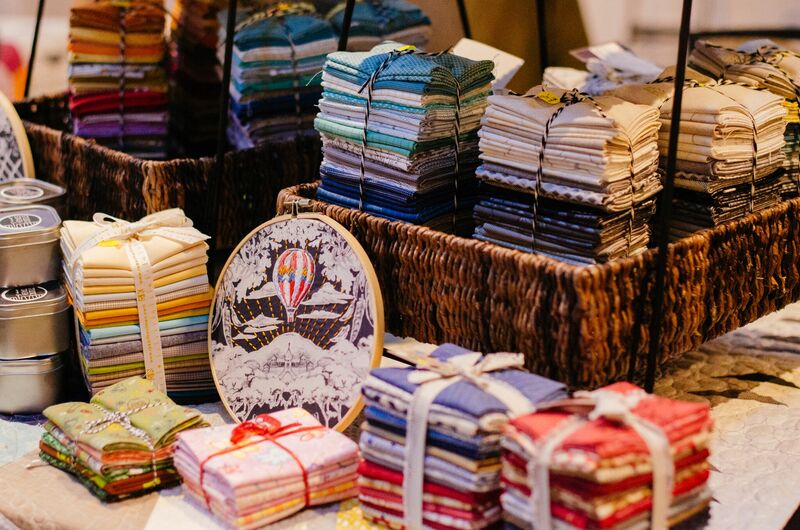 My bins of fabric are about as organized as I will ever have them. This antique hutch (anchored to the wall in case of an earthquake) houses all of my fabric yardage. 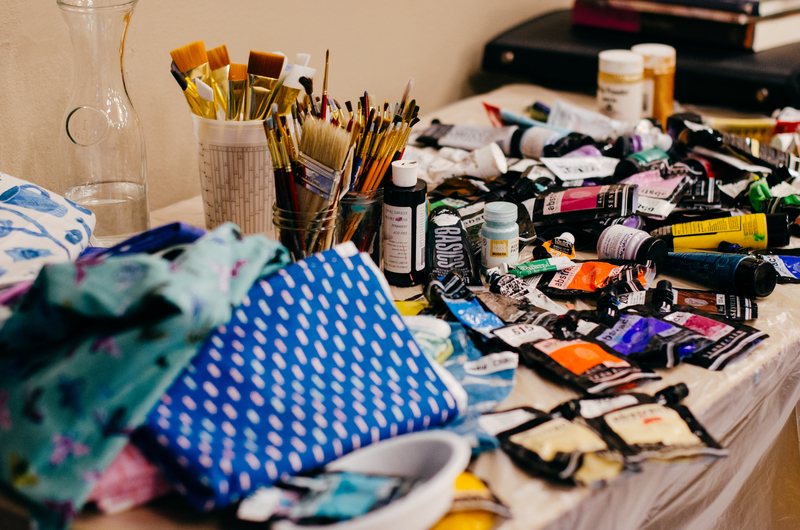 I’ll come clean and tell you I took a lot OUT for this photo so it looked organized and neat, and you can’t see what a fabric hoarder I really am. Above is an old antique workbench I found and where I house my ironing station. You can’t get a sense for how big this table is in this photo but it is enormous and great to put projects-in-progress on. 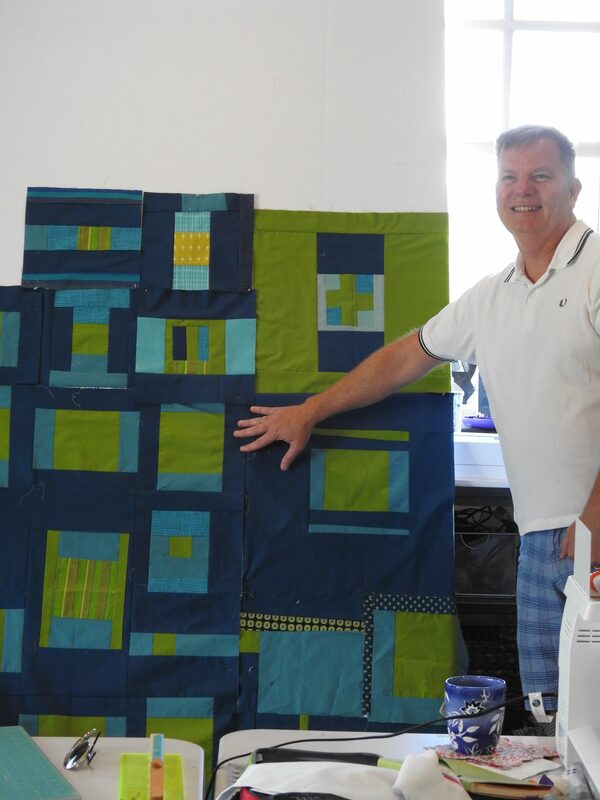 The art quilt above is by Betty Hahn; it reminds me of my beloved city by the bay. The sitting area for scheming new ideas. 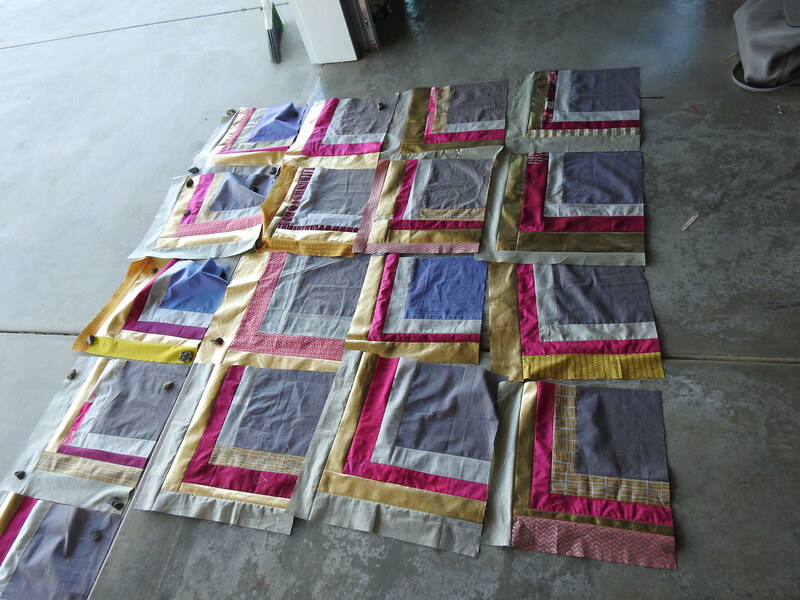 Behind some very tall sliding barn doors is my wet studio with a deep, wide sink for fabric dyeing. To the left of that sink is a stacked washer/dryer and a shelving system where I store all of my printmaking materials. The Pokey Pour bar area for wine and coffee, with a (smallish) Pokey Pour of a wine from a vineyard up the street. Thanks for having an initial look! I have a lot more pictures that I’ll mostly be sharing on social media. 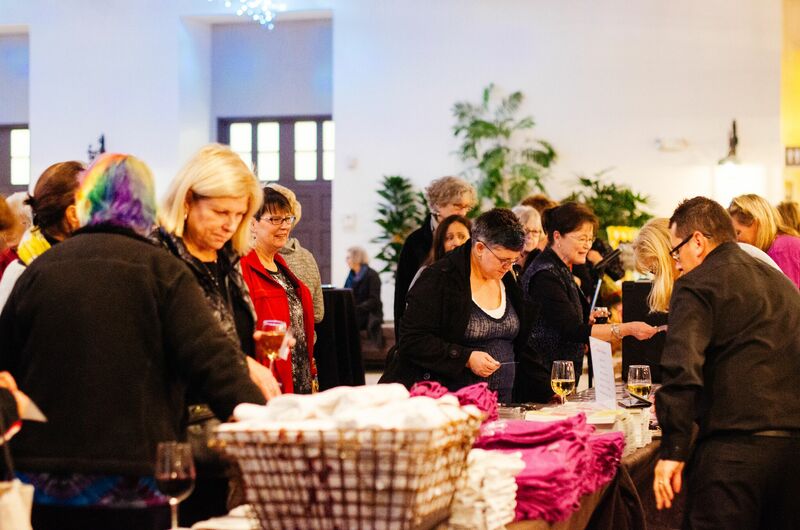 All of the offsite workshops for Craft Napa 2017 that are taking place here at the barn are sold out, so shortly I will announce some other smaller offerings here and there. Now I am going to do what I have wanted to do for a LONG TIME, and that is I am going to go turn this place into an arty mess. Printed books eclipse ebooks for me, every time. As someone with a publishing background, I am so happy to at long last share that Crafting a Life, LLC, is publishing. 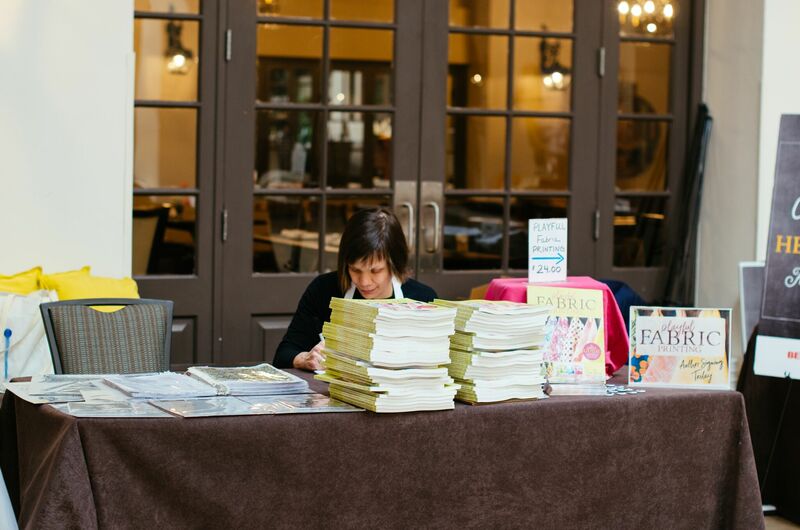 Yes, publishing, as in print. First up, a co-authored gem of a book by surface design, colorists, and quilters extraordinaire, Carol Soderlund and Melanie Testa. 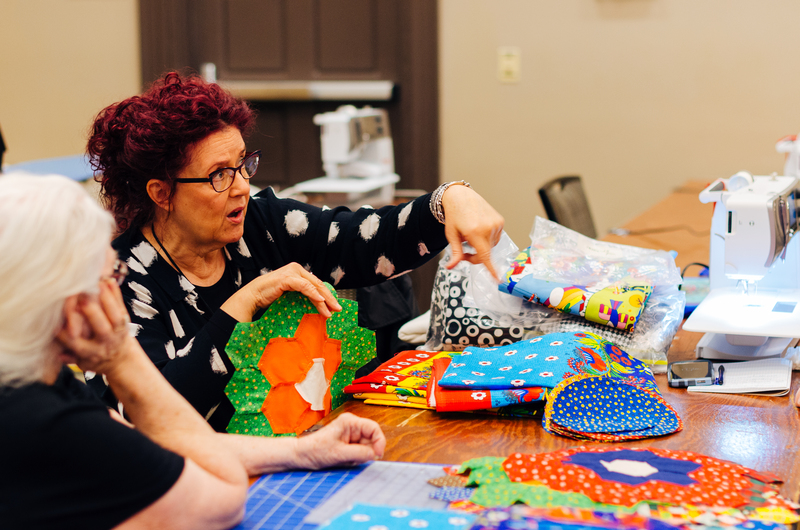 The content is a must-have for anyone interested in making or designing their own fabrics—or an entire collection–from scratch. 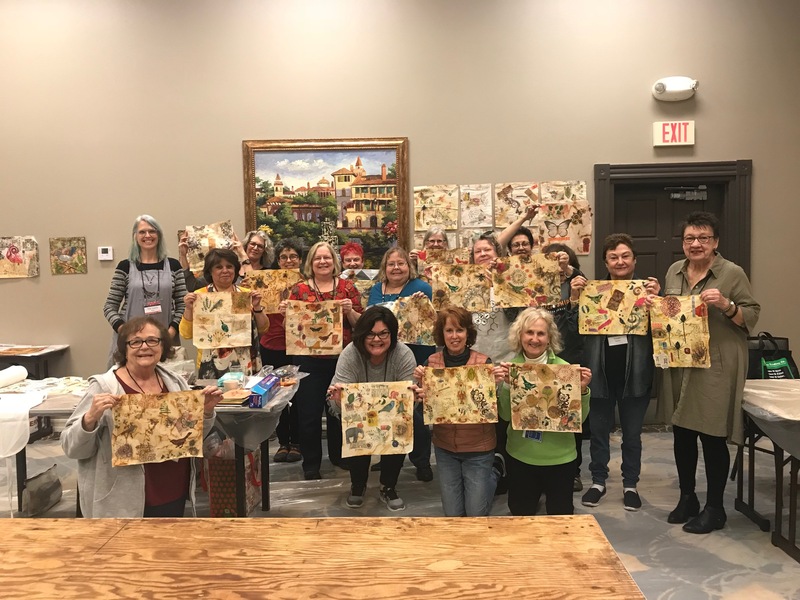 It’s about combining your own pictures, sketches, drawings, ideas, or favorite color schemes with low-tech, inexpensive and readily available tools to create one-of-a-kind fabrics for quilts (art, modern, traditional) or sewing projects. 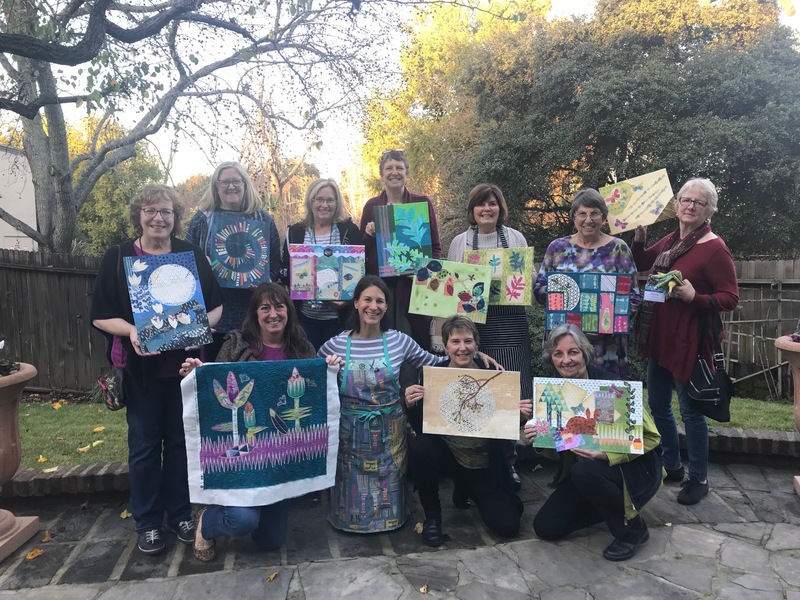 Carol and Melly also illustrate (in great detail with step-by-step photos) how to creatively use a variety of surface design techniques to achieve just the fabric you are seeking. It’ll be full of recipes for color, techniques, and exercises, and yes it will be an e-book, too. This book will also be manufactured in the United States, which means we wont be waiting months for a ship from overseas to deliver the content. 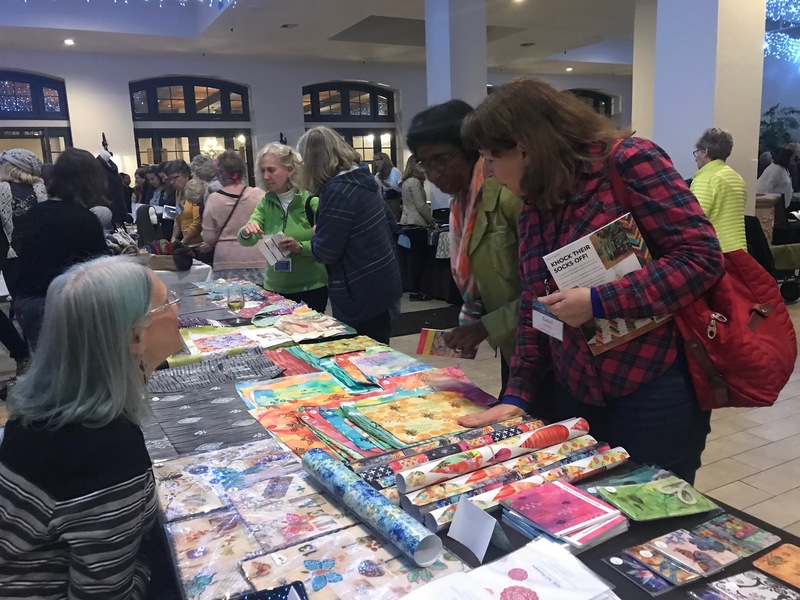 Furthermore, I am teaming up with talented people with whom I used to work at Quilting Arts/Interweave––Larissa Davis and Larry Stein––as well as Indigo Perez, among others. Will there be other books or printed offerings down the line? Yes. But I am going to be a bit choosy, and I am not dependent on churning out a number of books or special interest publications in a given time. Release date will be announced shortly. For now, I just want to celebrate that I can finally share this news, to toast these two talented artists, and the team of people who are helping bring this endeavor to life! My art barn is done. It took, from concept to design to construction, two years. But it’s at long last complete (minus a backsplash and a chandelier, but hey, those aren’t necessarily requirements for making art). 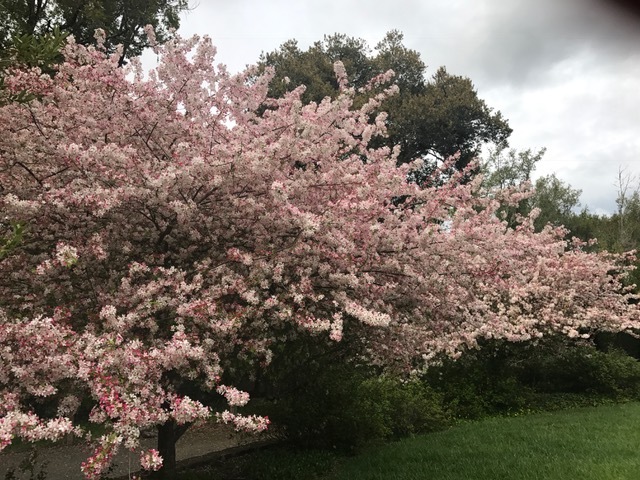 There were some sizable setbacks, like the 6.0 Napa earthquake just two weeks after I closed on the property, and learning–after a soil test during pre-construction–that I needed to excavate thousands of tons of dirt and truck in engineered dirt that was more stable for a foundation. Tantamount to all of this was what I placed on myself: very high expectations. I have felt on shaky ground getting to this point, consistently asking myself, did I take on too much? Upon reflection, all of those mornings over the past two years calculating every construction cost; waking to the skull-rattling sound of hammering and sawing on the hill; watching (and worrying) as construction workers balanced themselves on narrow wooden beams 30’+ above ground; and the rare, startling occurrences like the emergency landing of a hot air balloon have all collectively been the key part of the journey. Building anything is risky, but the exhilaration during the process and at the end is heady stuff! 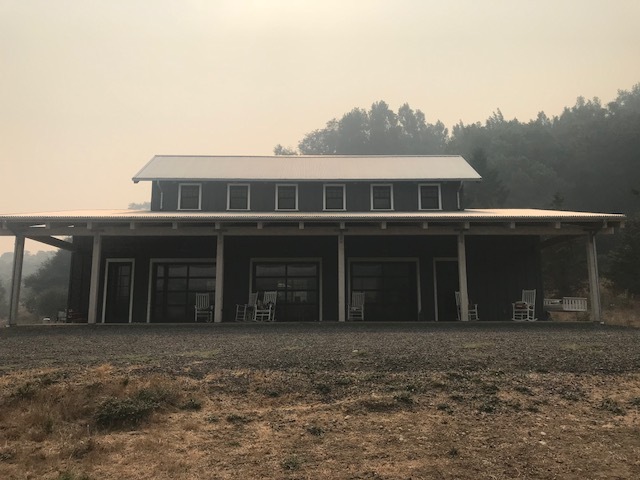 I am looking forward to hosting small art gatherings here as well as a few offsite workshops during Craft Napa, but as my office is headquartered in the loft, I’m eager to execute other ventures too. For the moment, though, I am pretty happy that the building part is finally behind me.